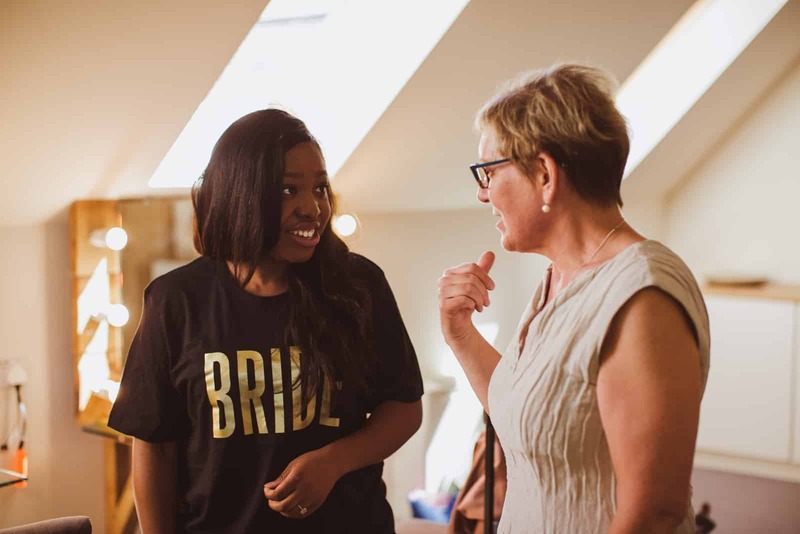 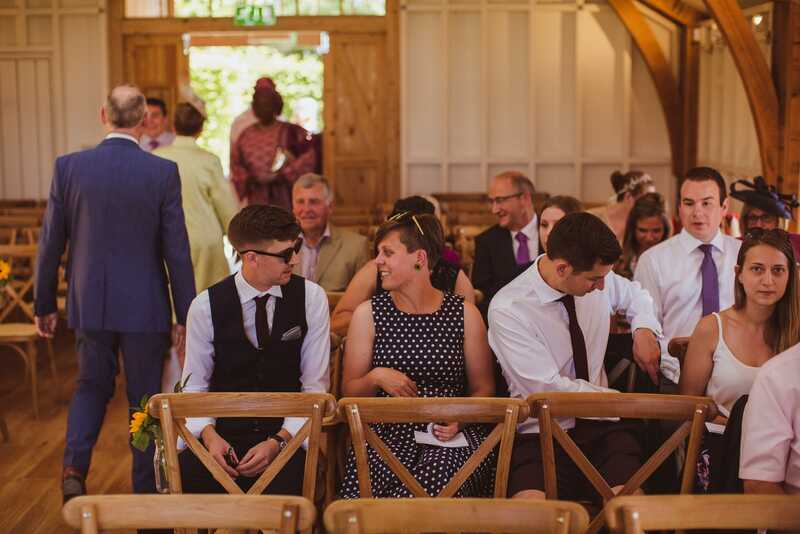 We’ve known Jess and Niall for some time, having met a few years back at church. 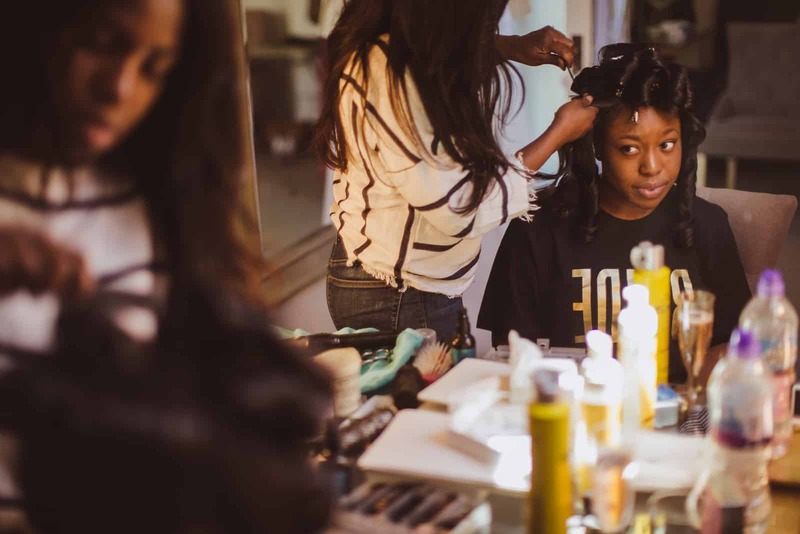 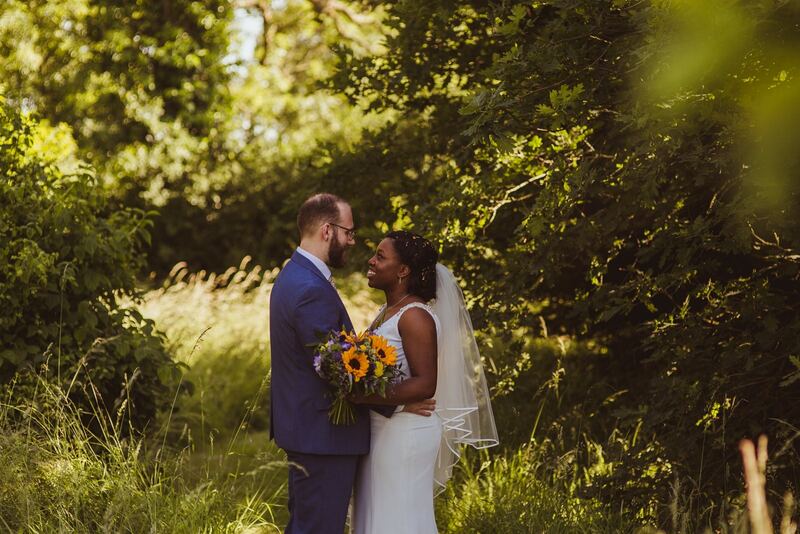 We were so excited to shoot their wedding – knowing what a creative pair they are gave us a pretty good idea of how the day would be. 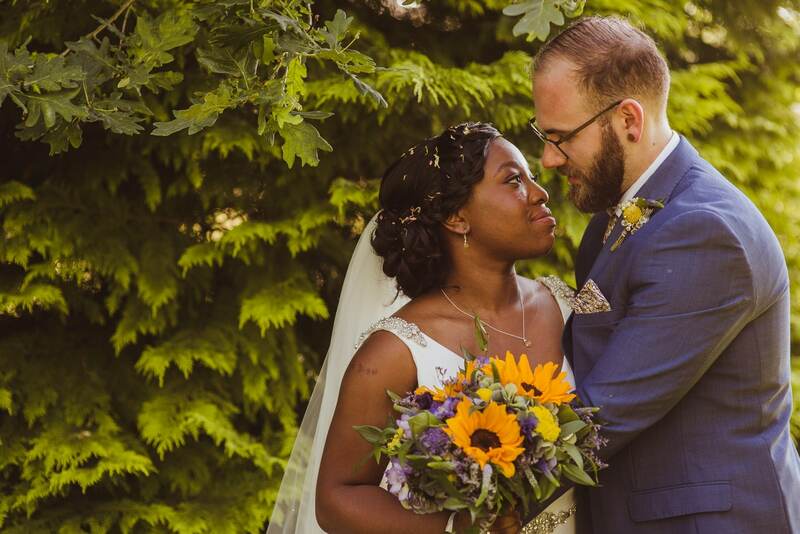 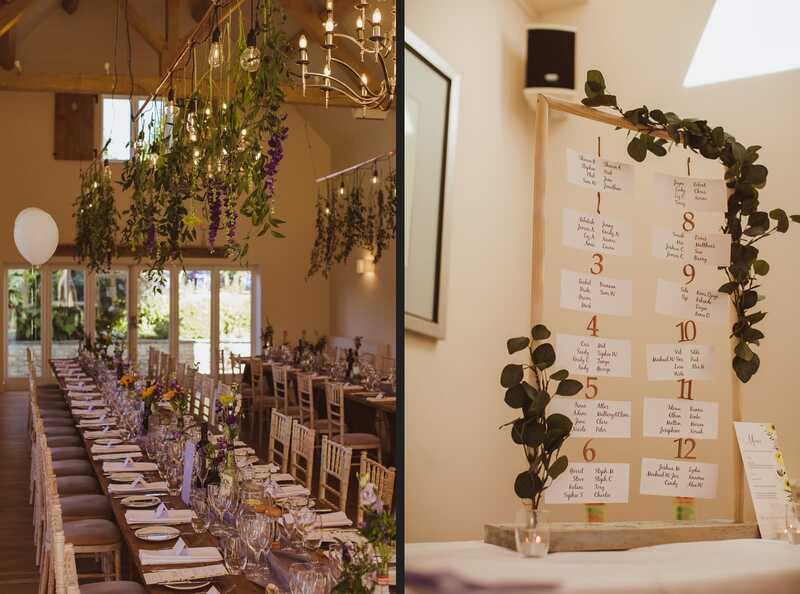 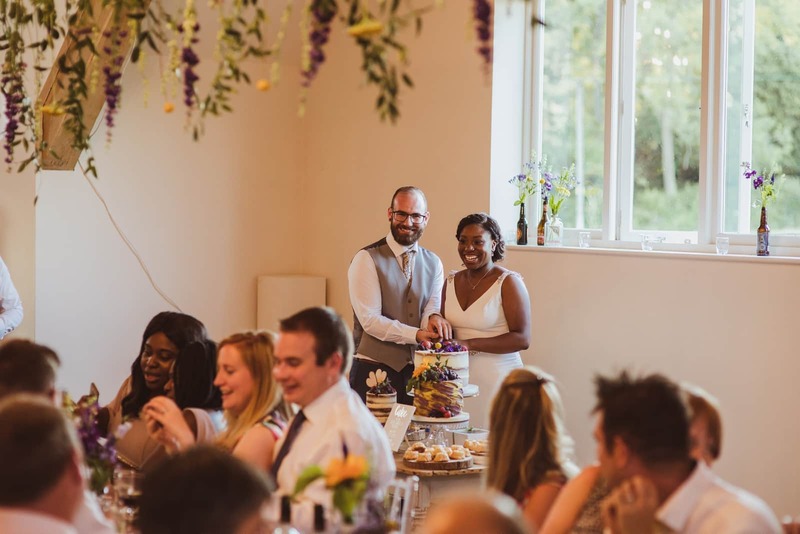 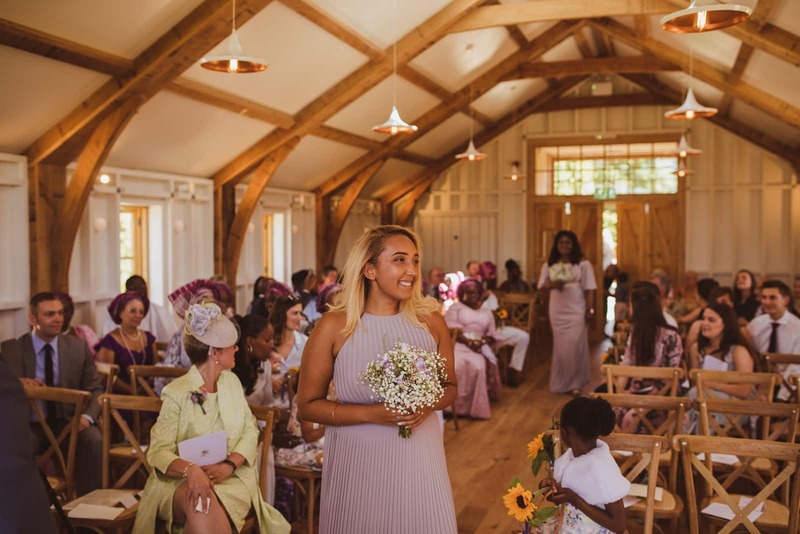 With gorgeous flowerscapes dangling from the ceiling, brilliant bright colours and sunflowers everywhere it was the perfect theme for a Summer wedding. 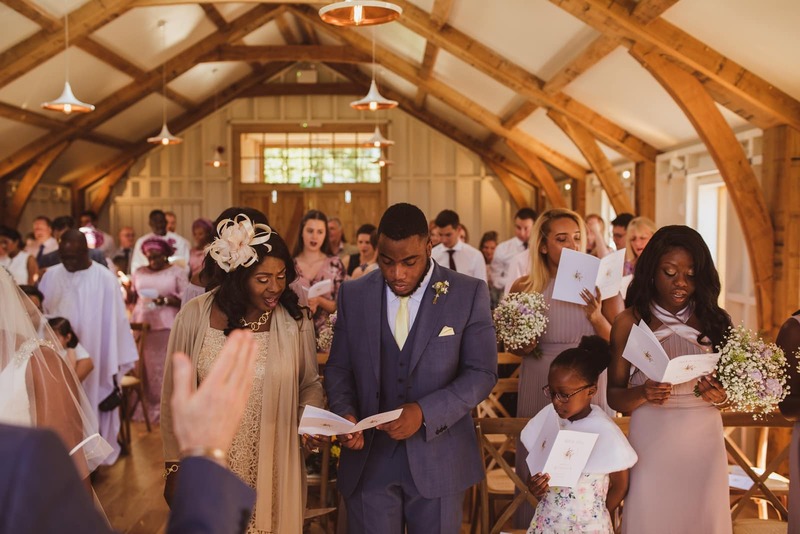 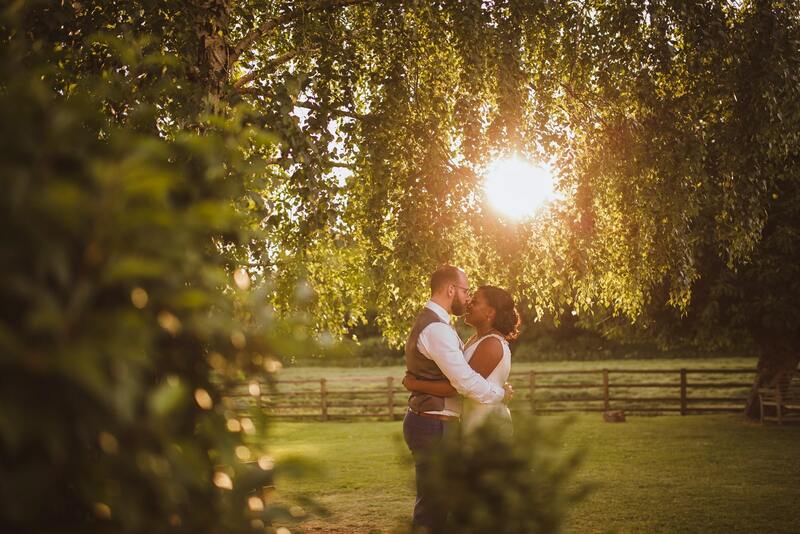 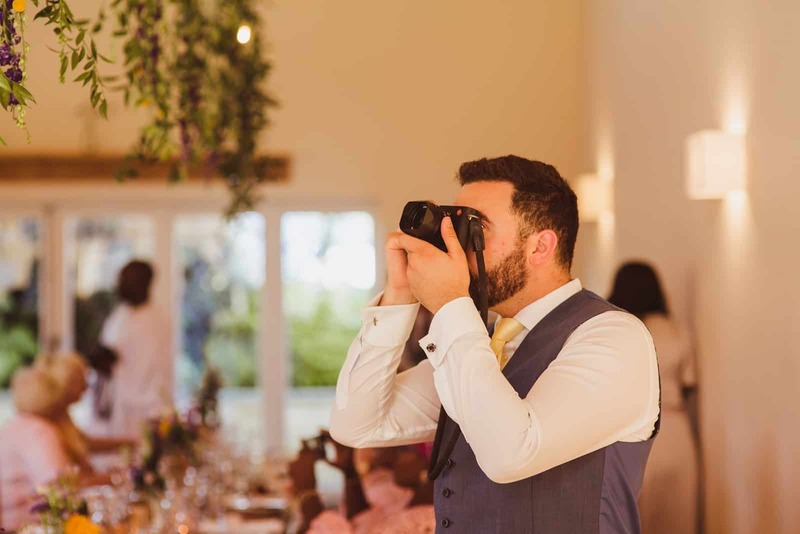 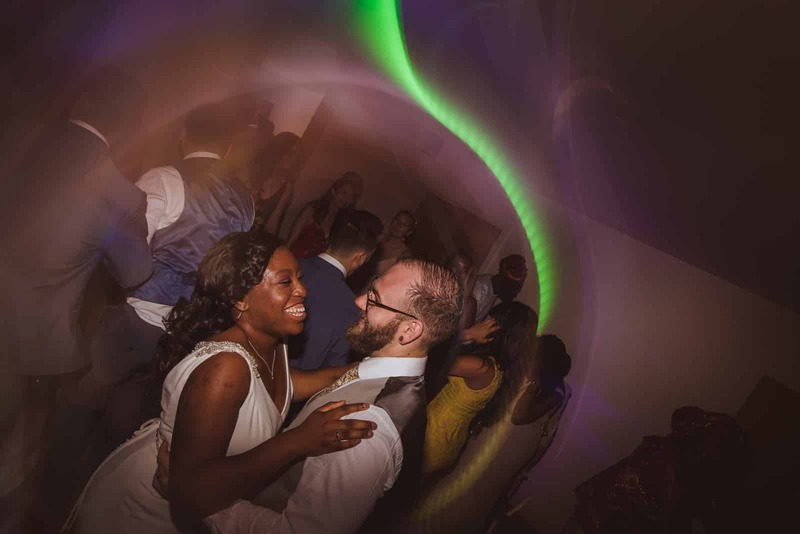 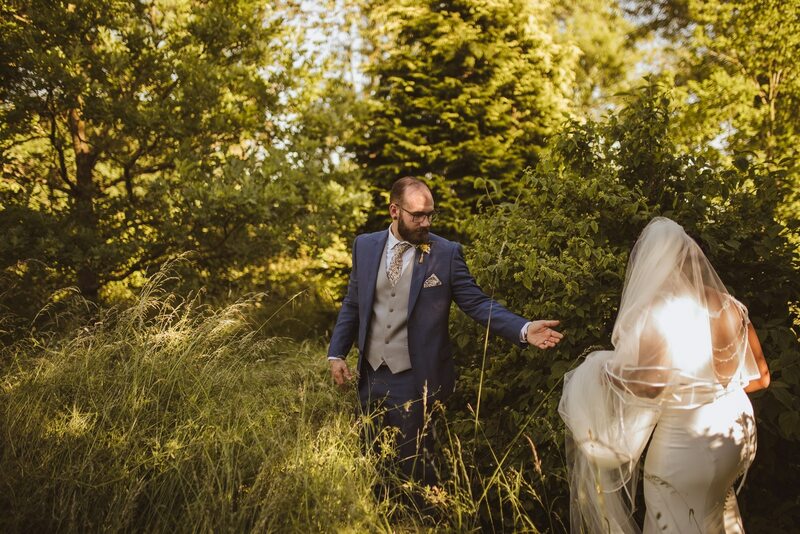 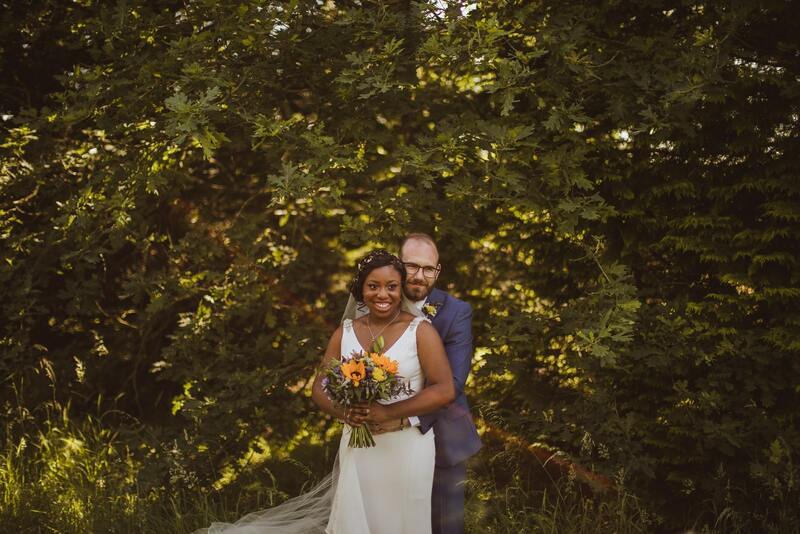 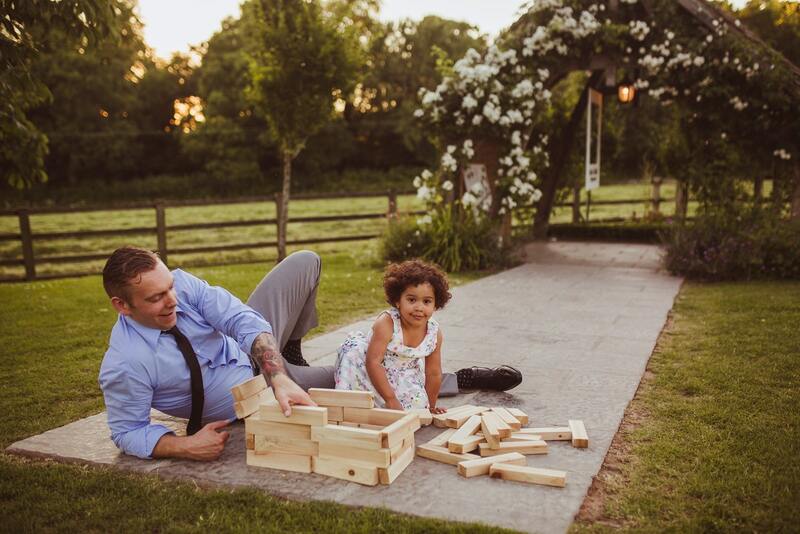 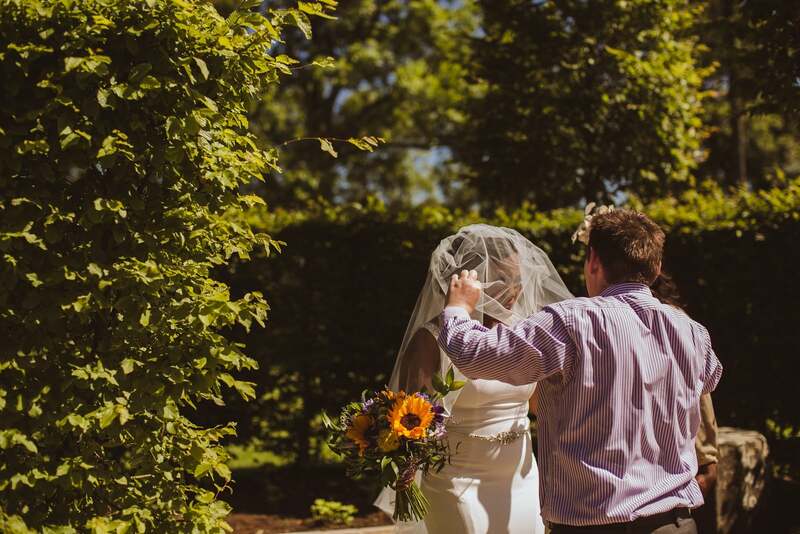 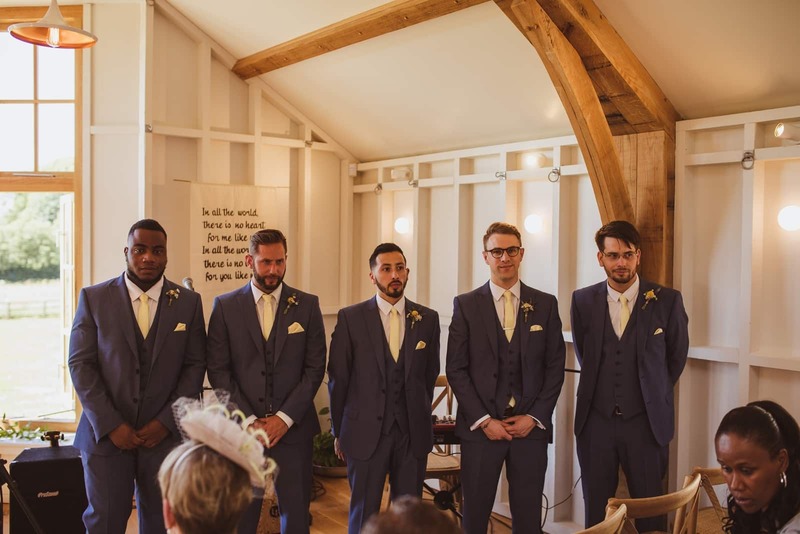 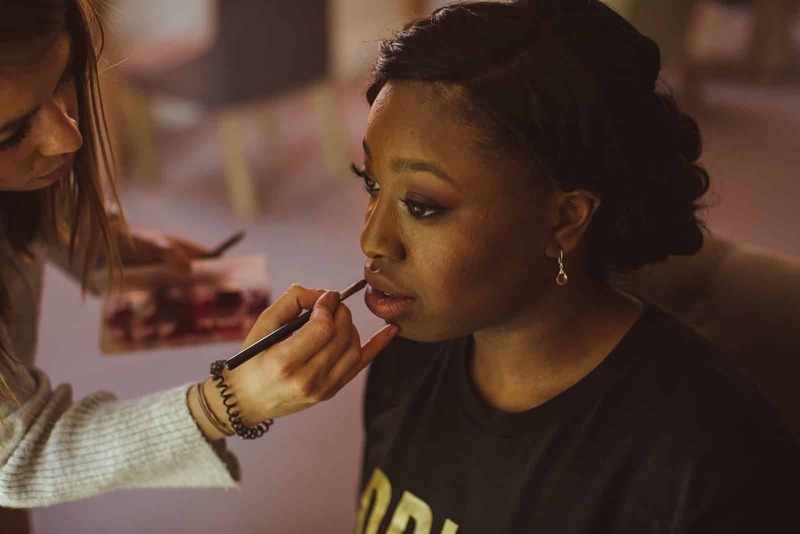 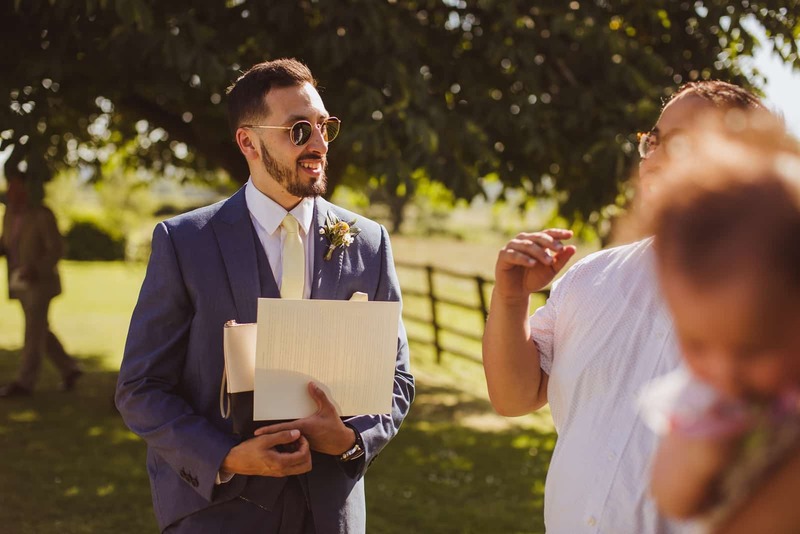 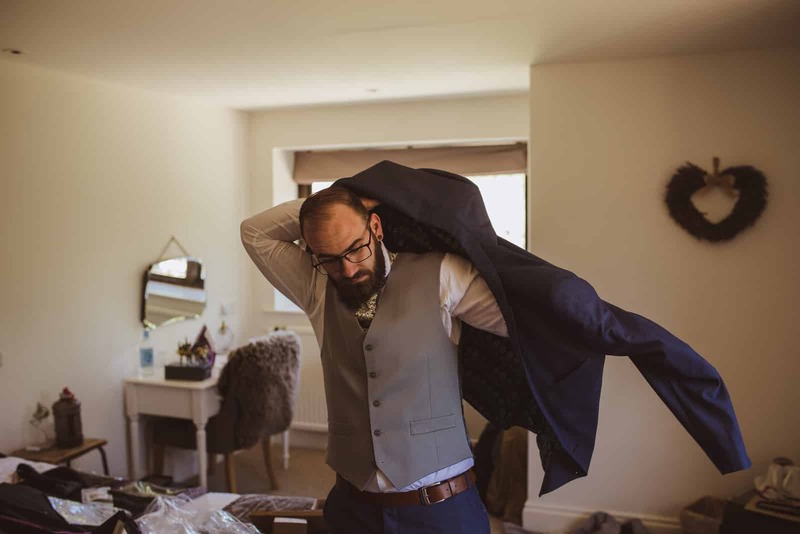 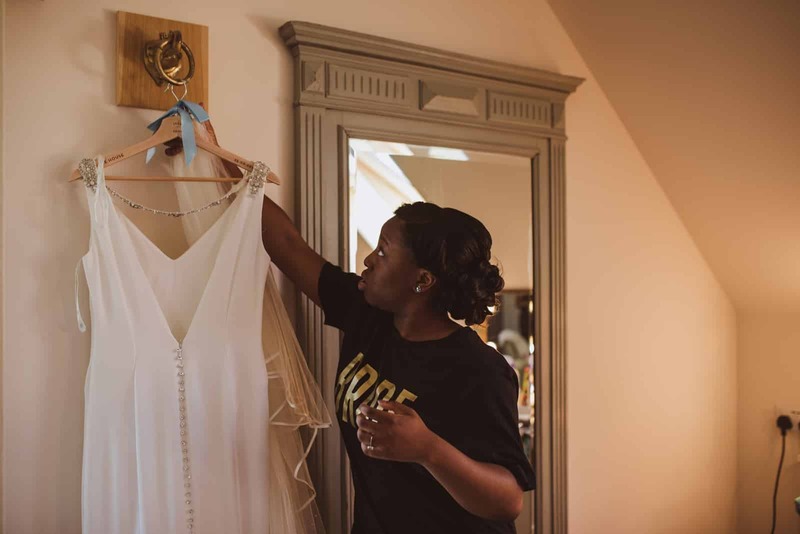 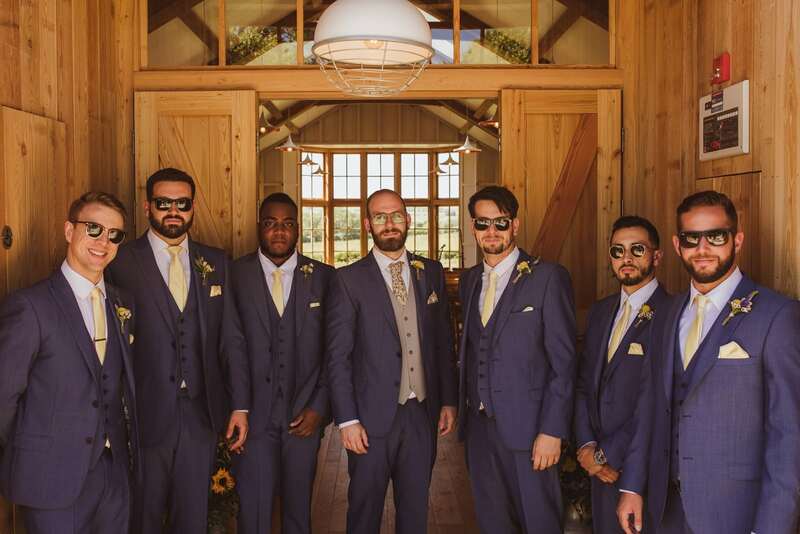 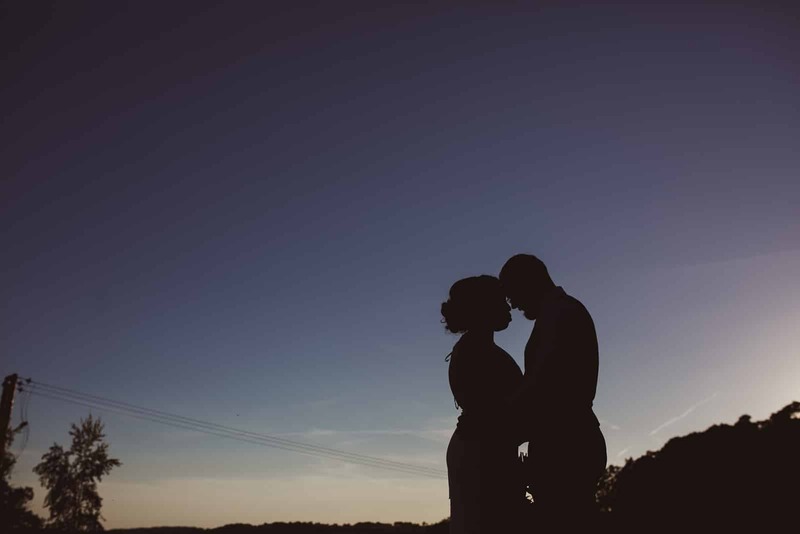 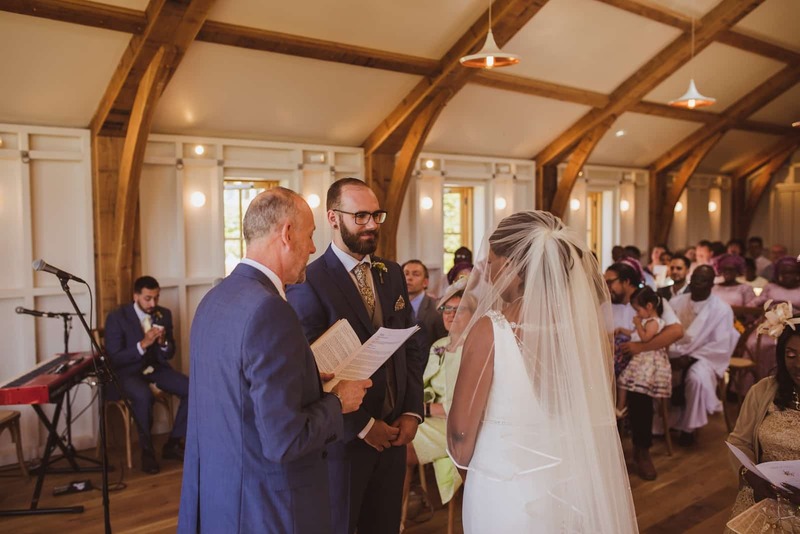 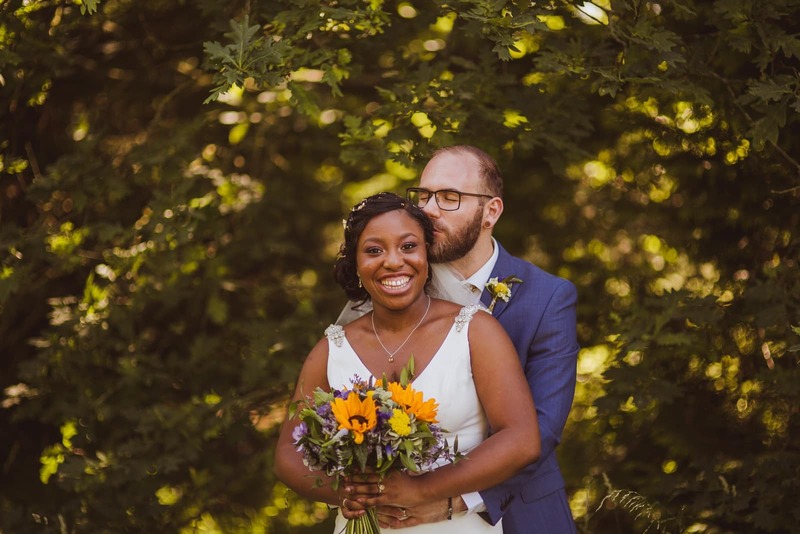 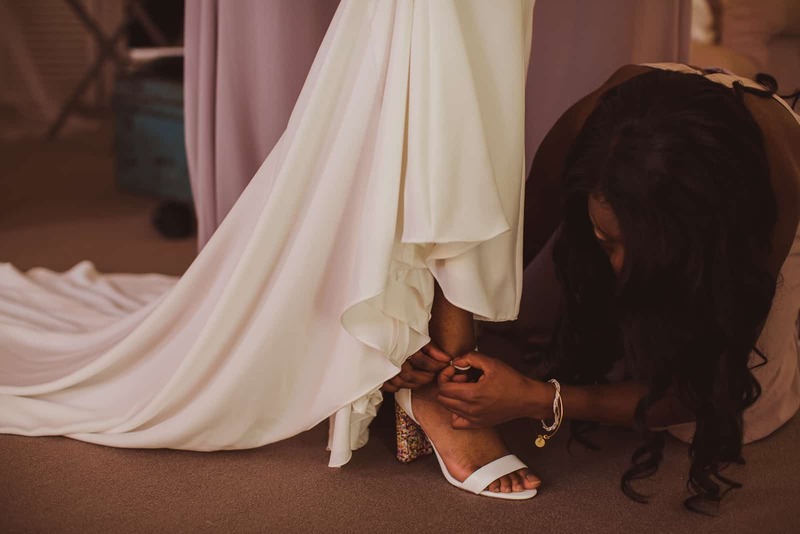 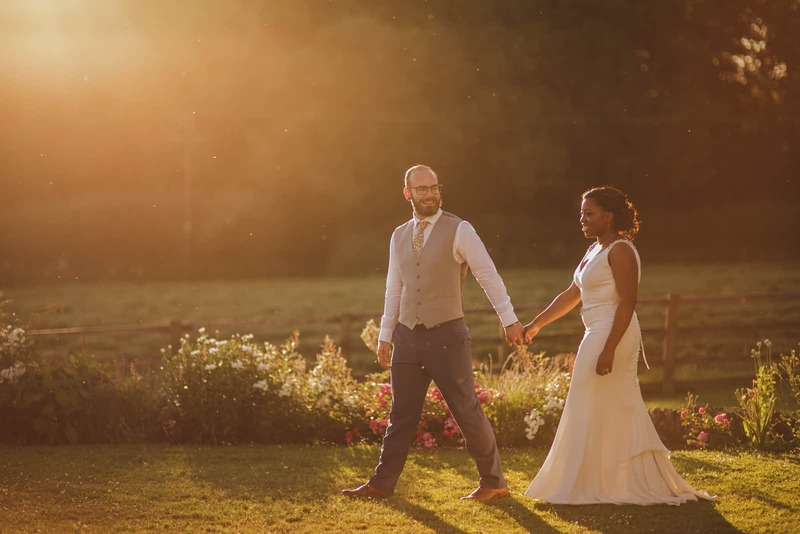 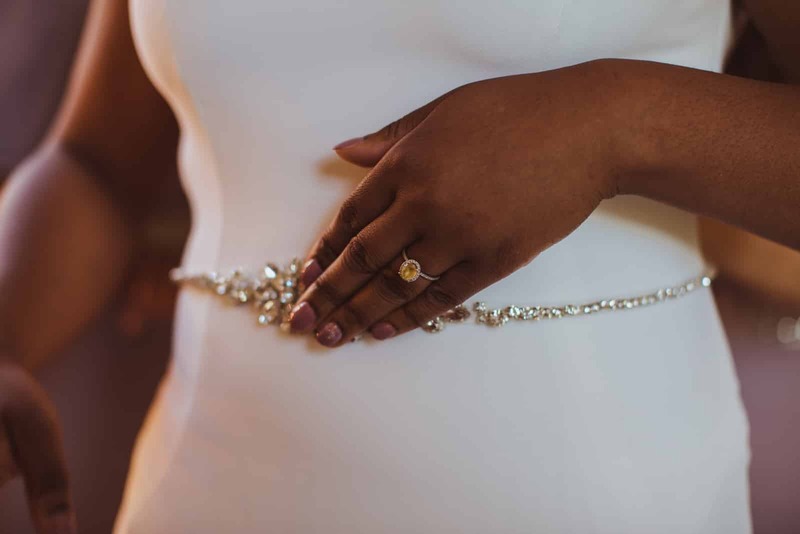 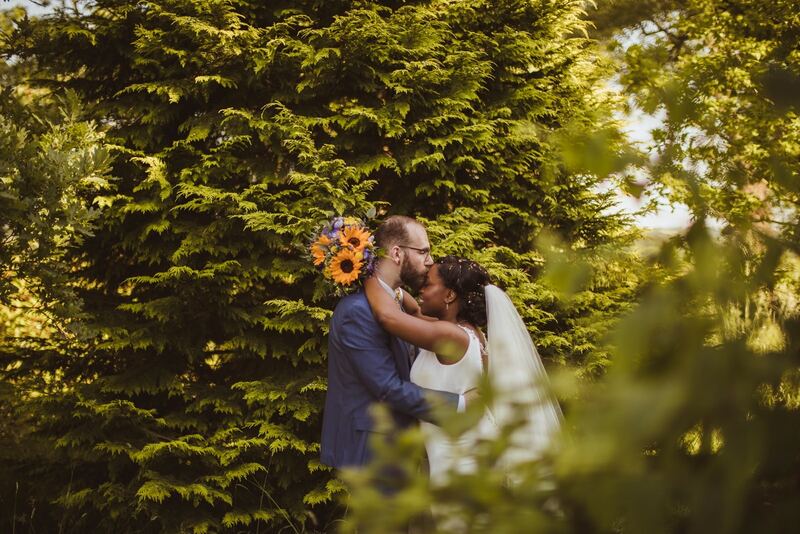 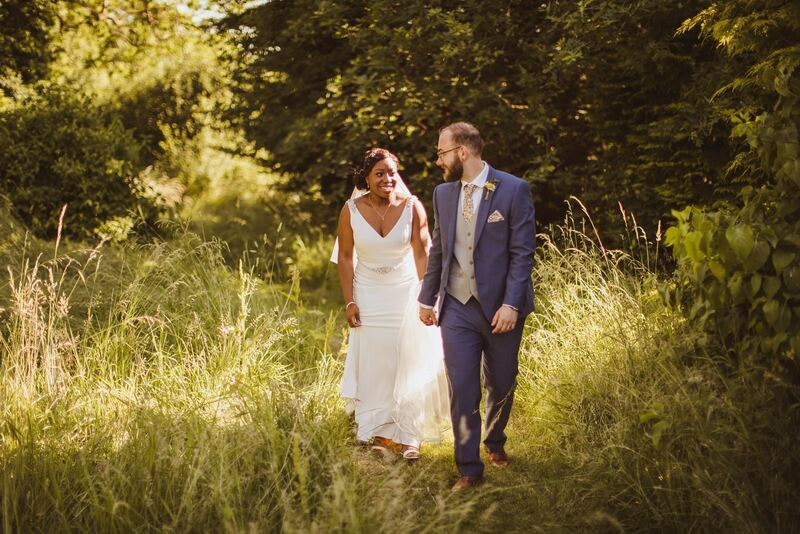 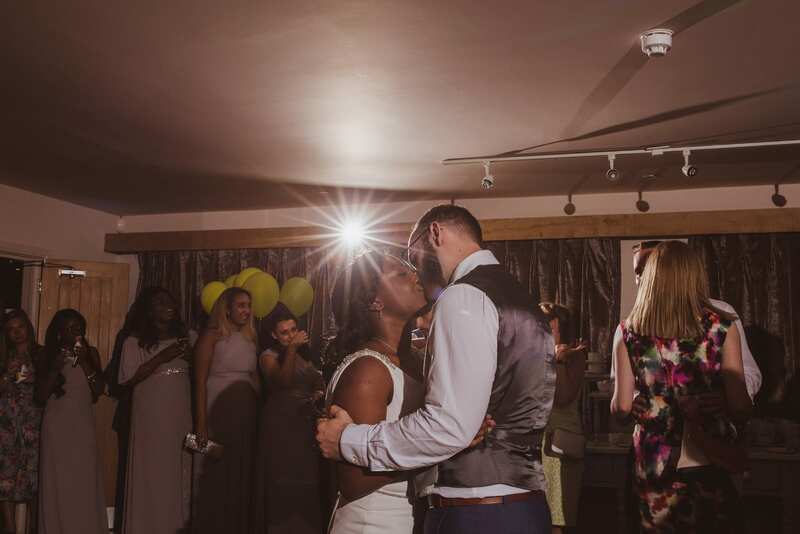 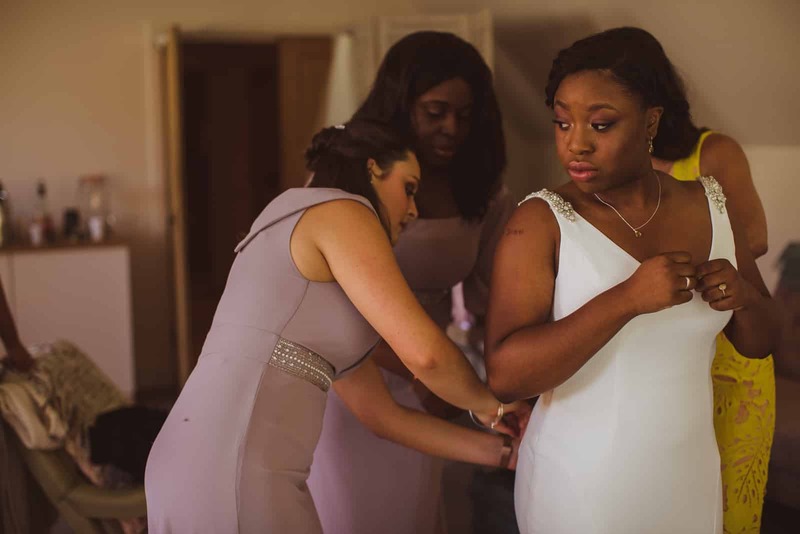 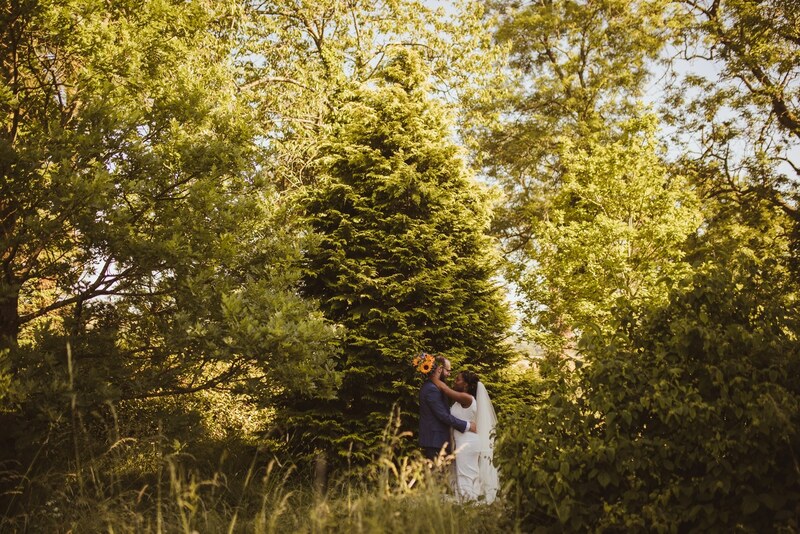 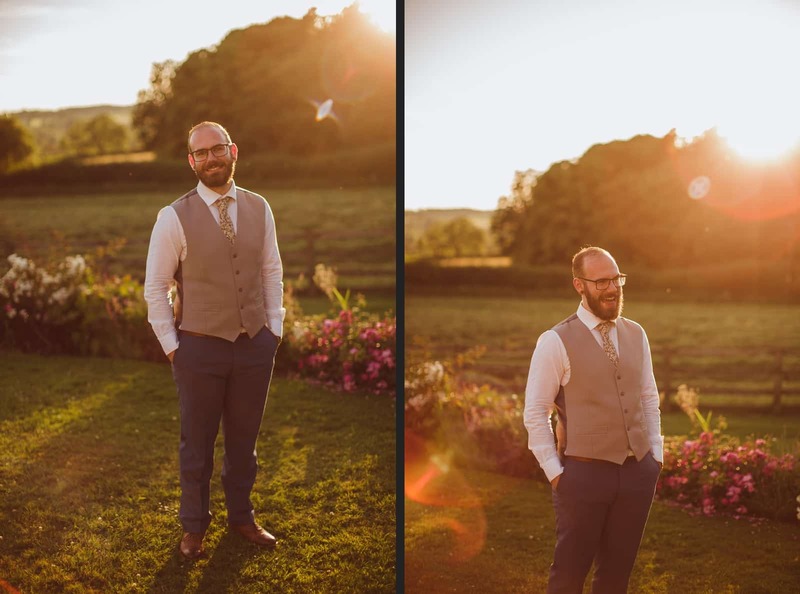 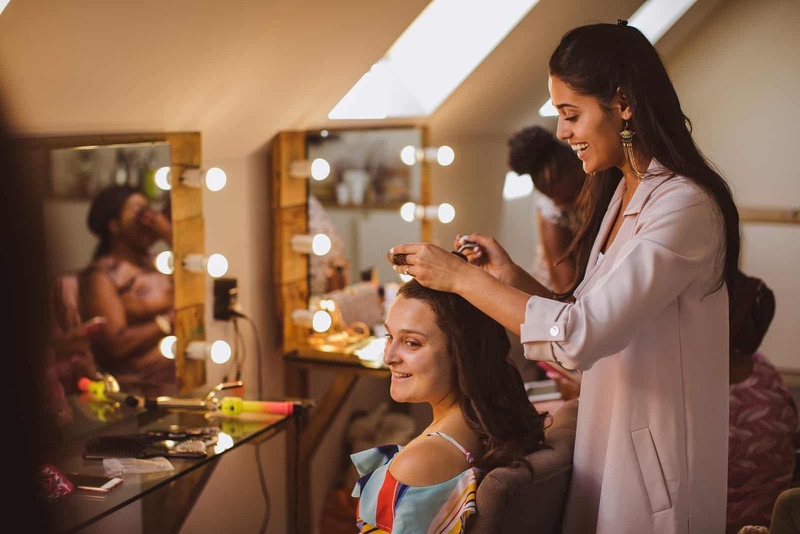 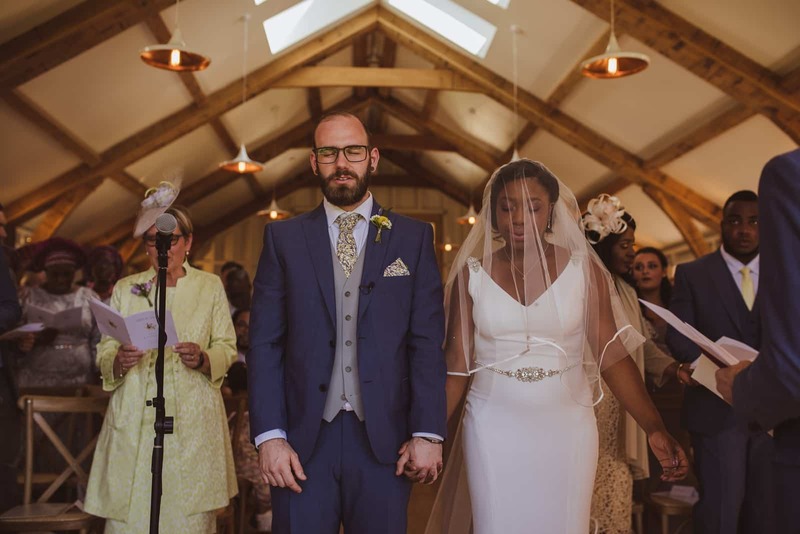 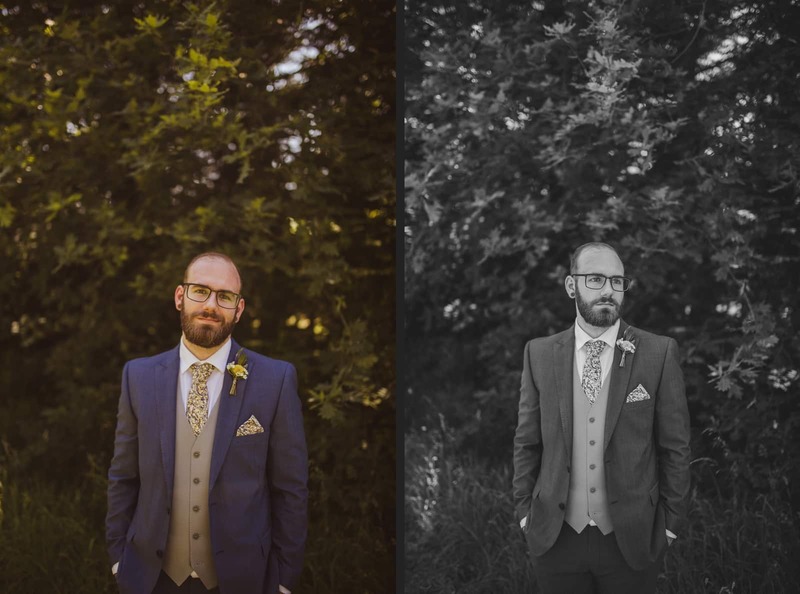 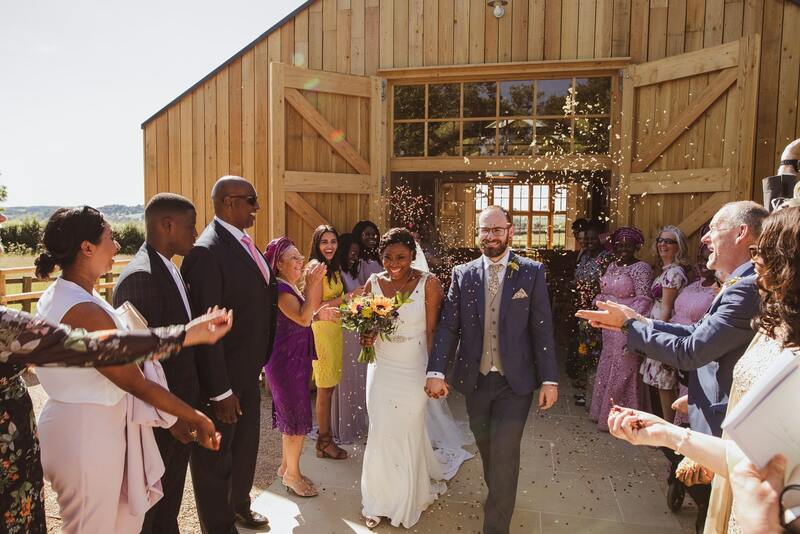 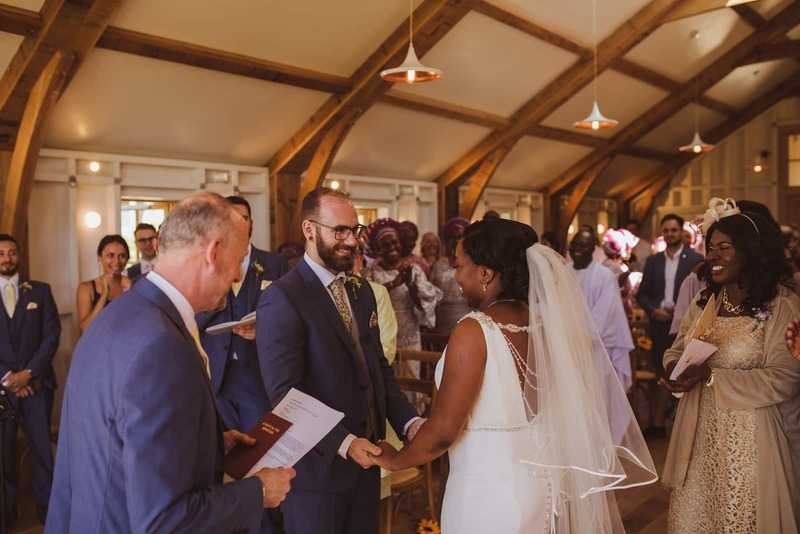 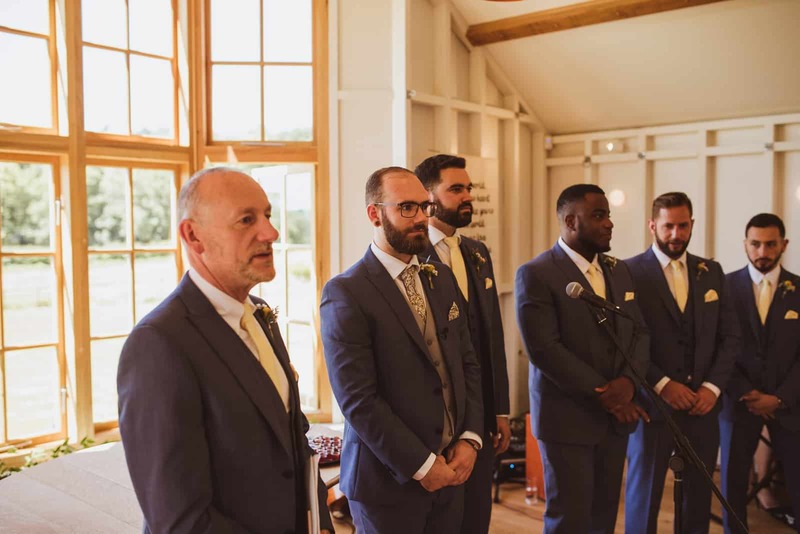 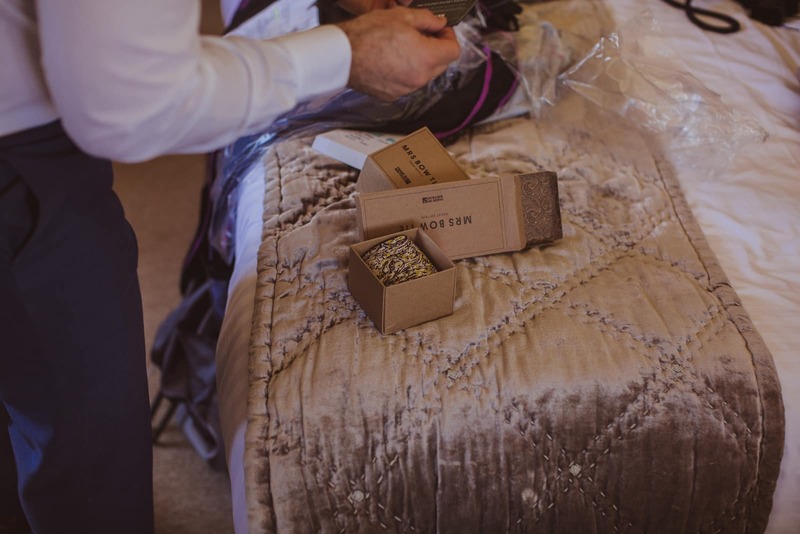 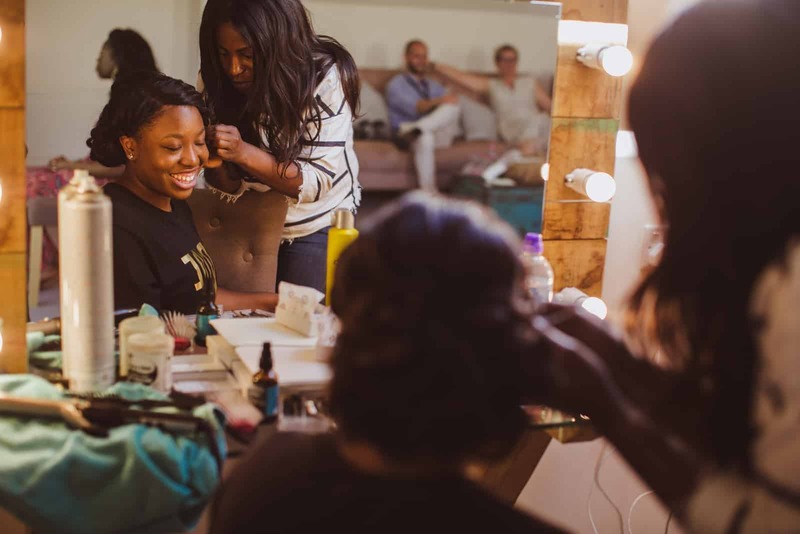 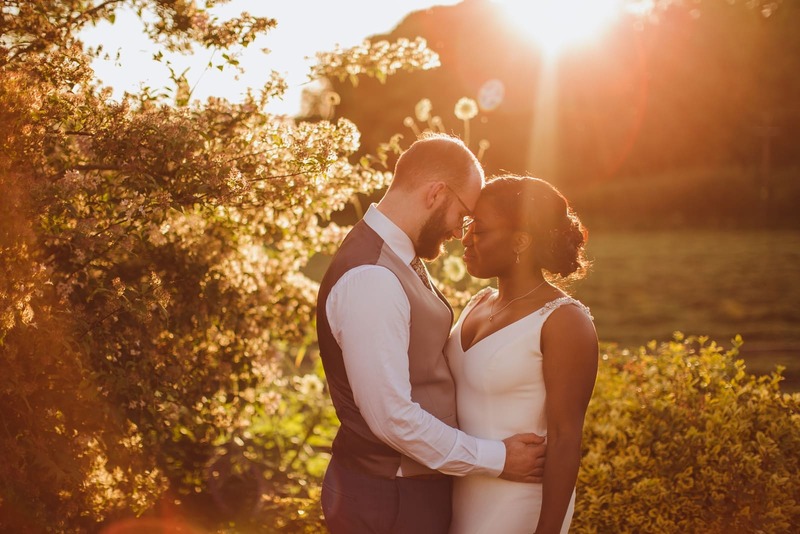 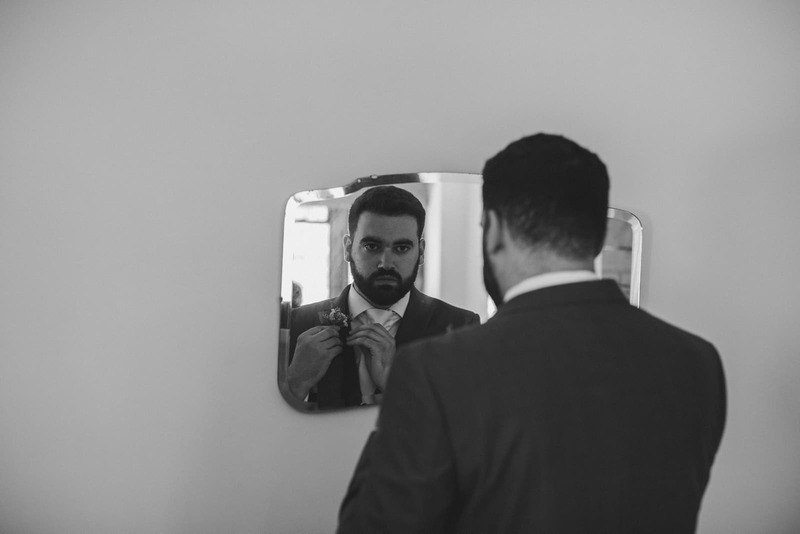 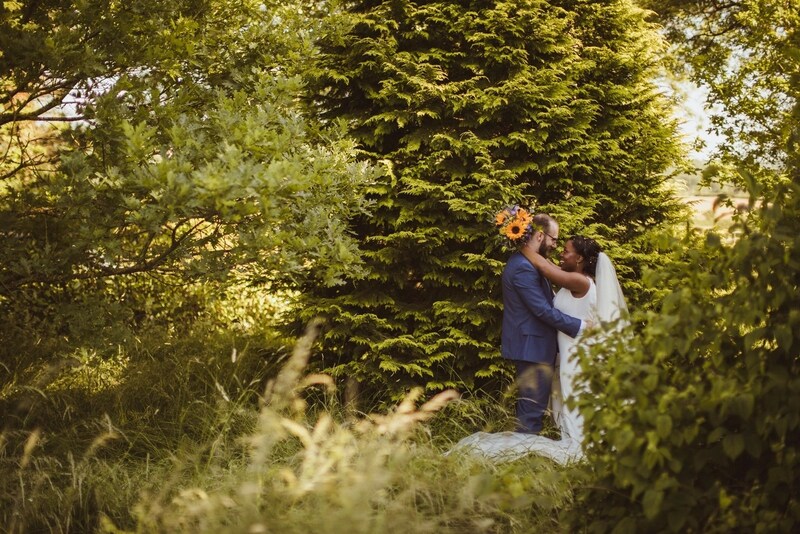 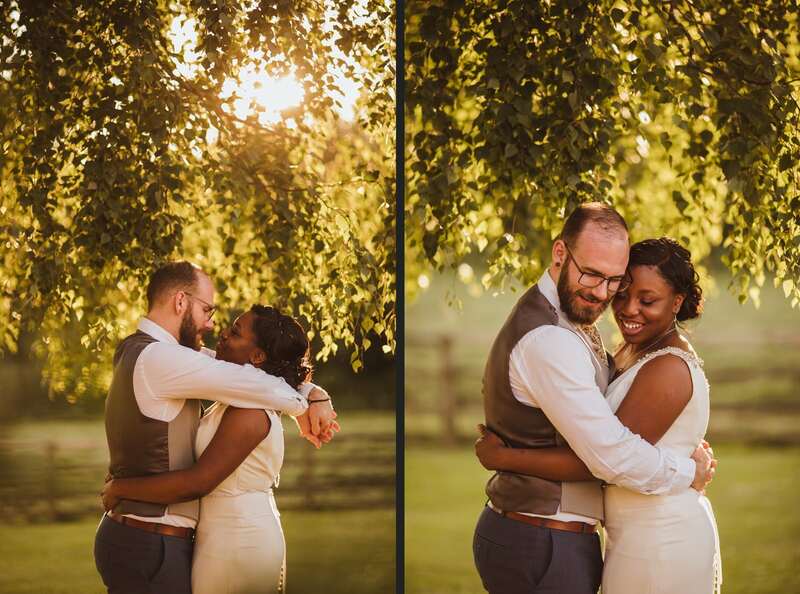 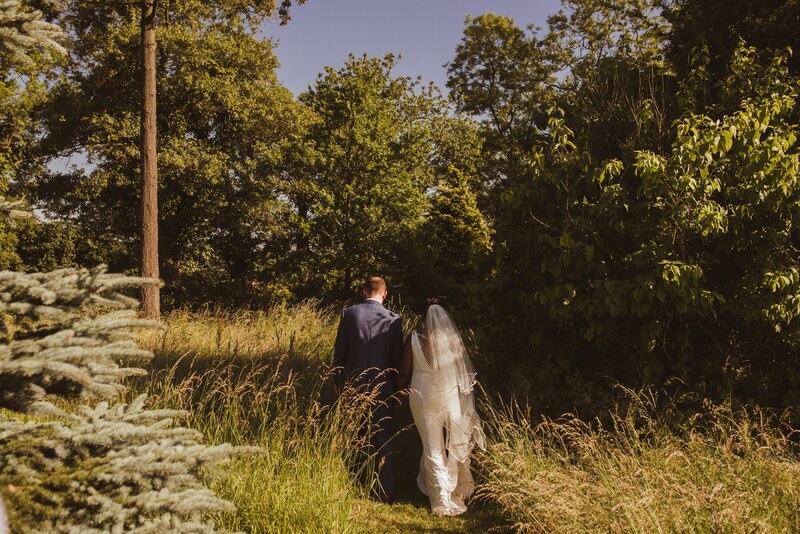 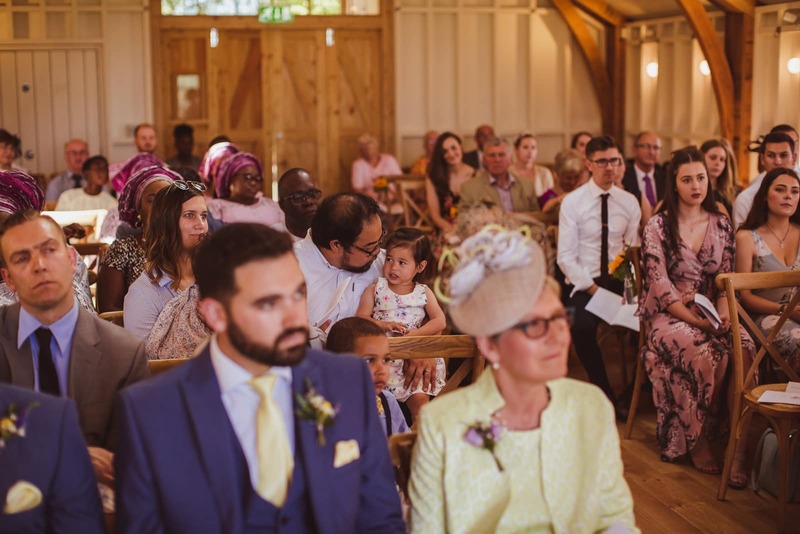 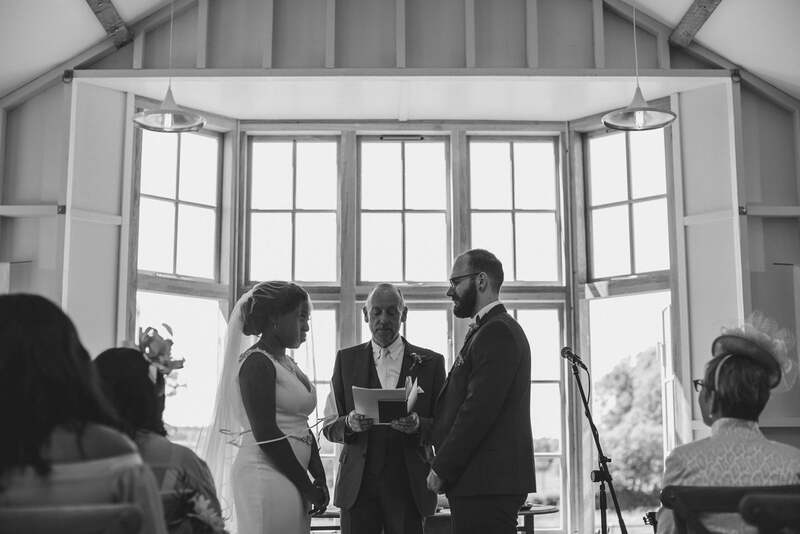 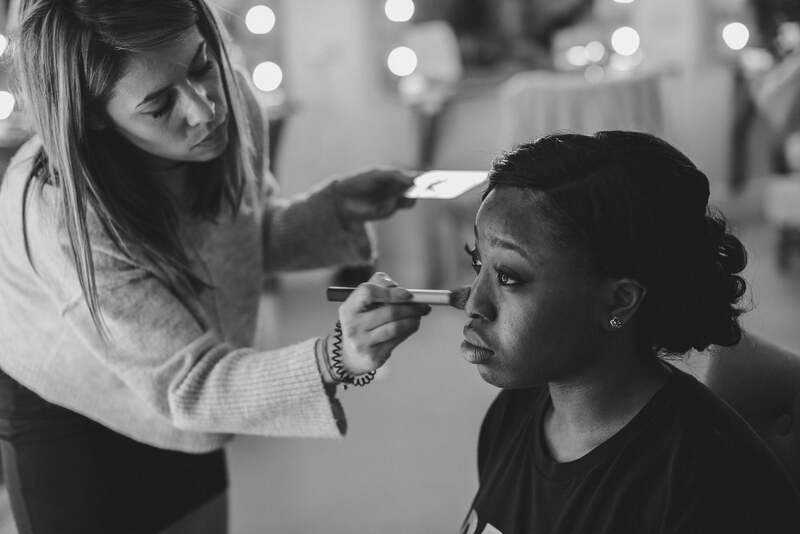 Being from Surrey, this was our first time shooting at Hyde House Barn – it did not disappoint! 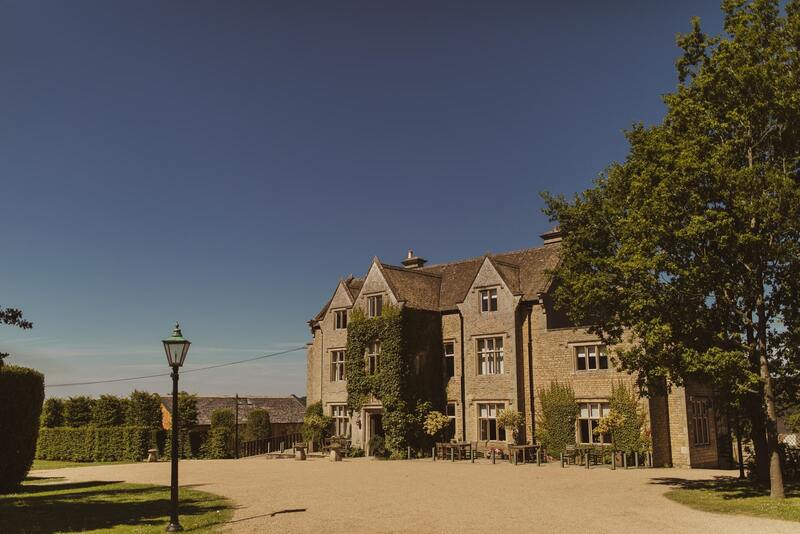 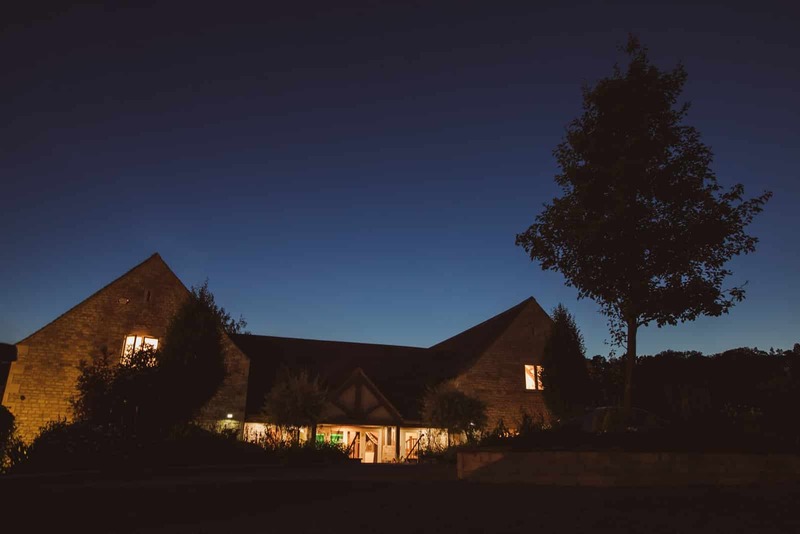 The Cotswolds is, of course, beautiful- and this venue perfectly mirrors its surroundings. 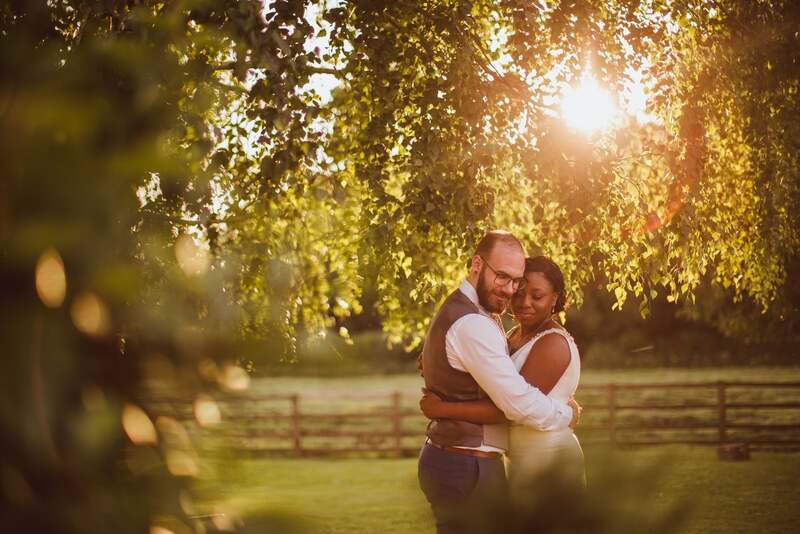 With ample space and well kept gardens, we were spoilt for choice when it came to couples portraits! 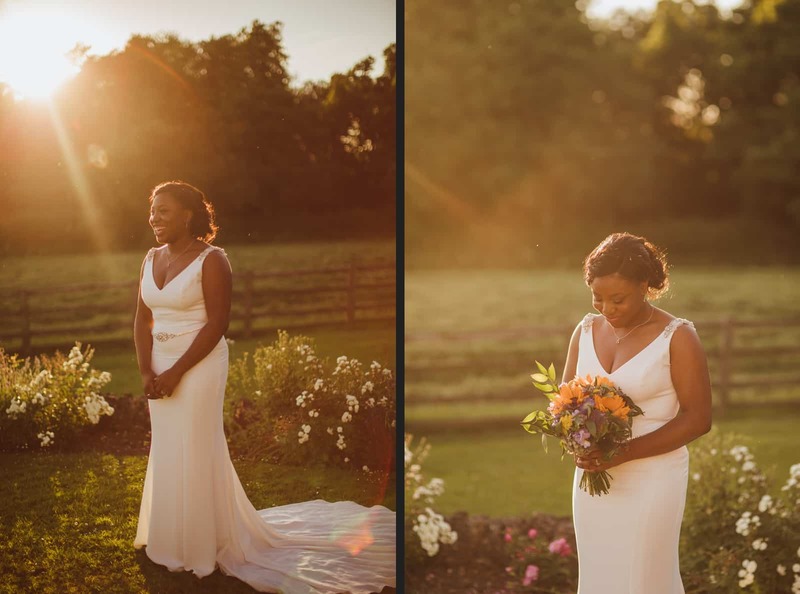 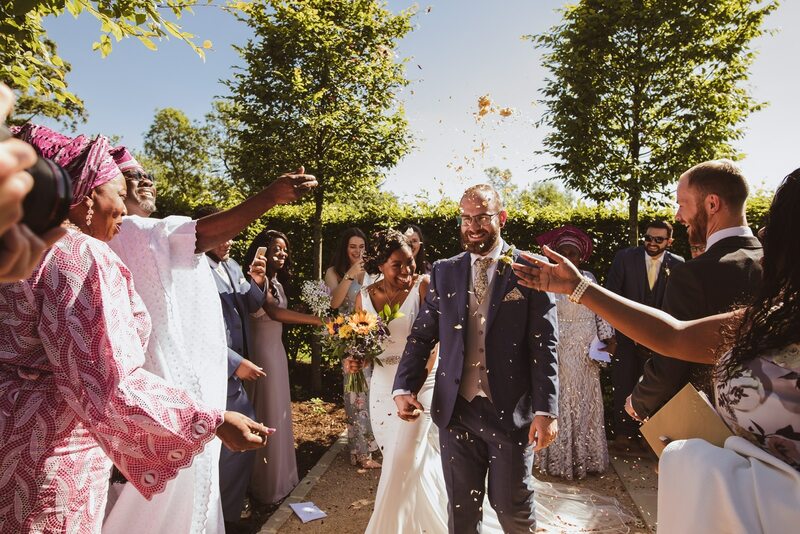 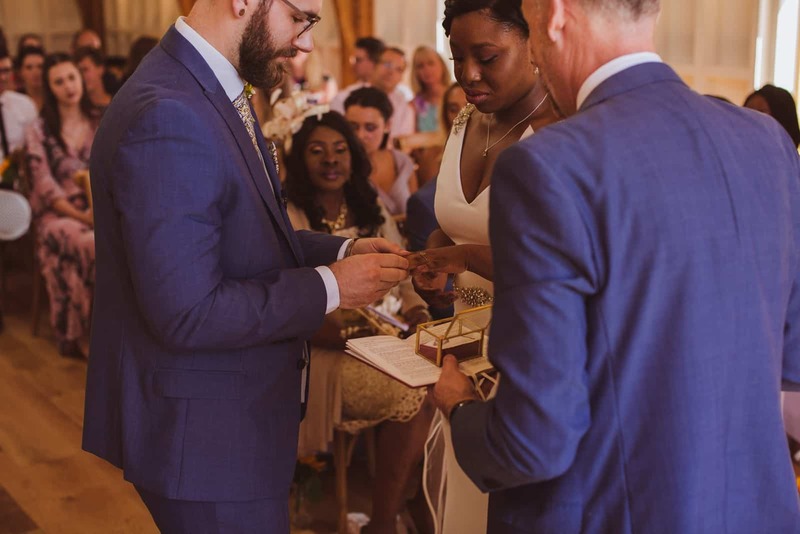 This wedding was at the height of our British heat wave in June 2018, giving THE best sunset ever! 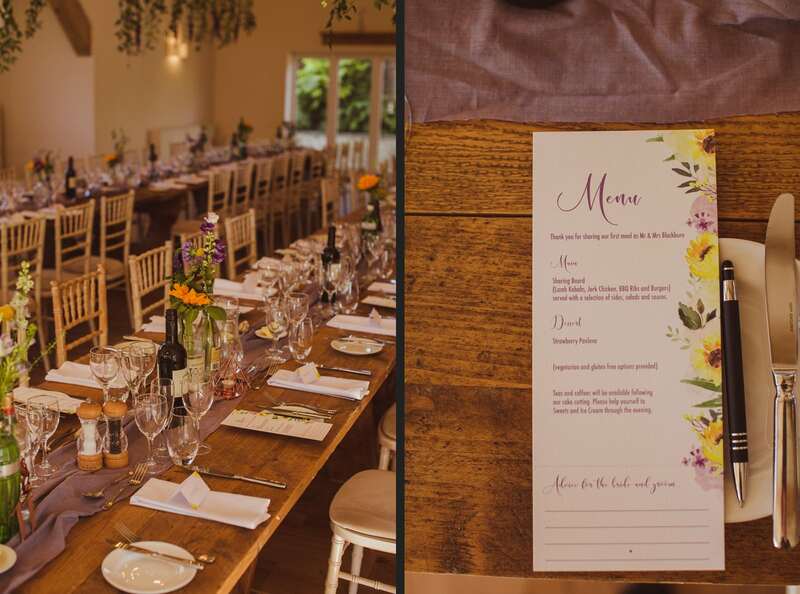 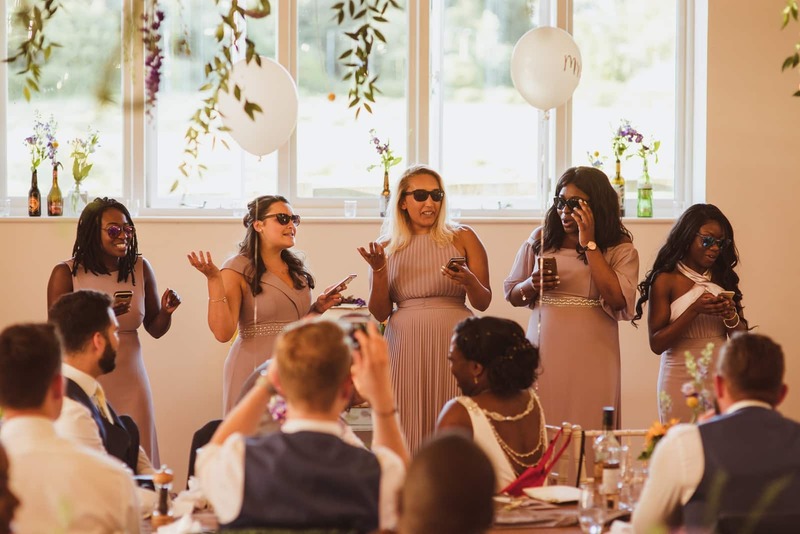 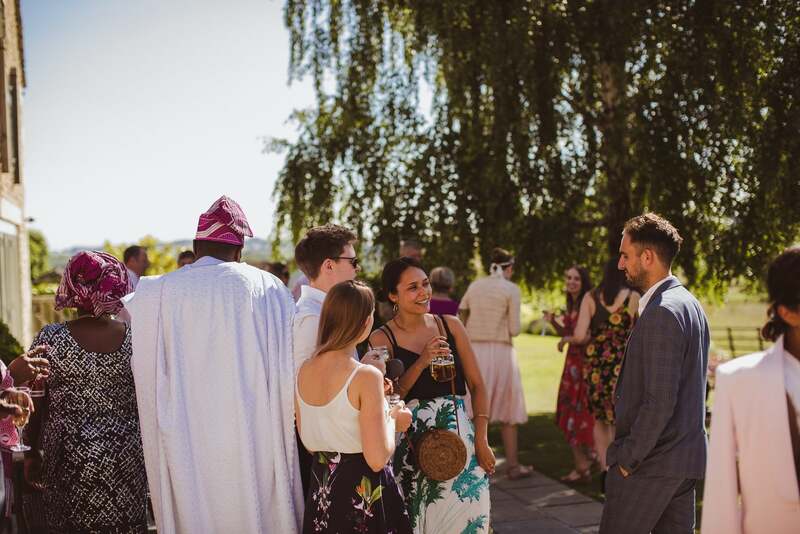 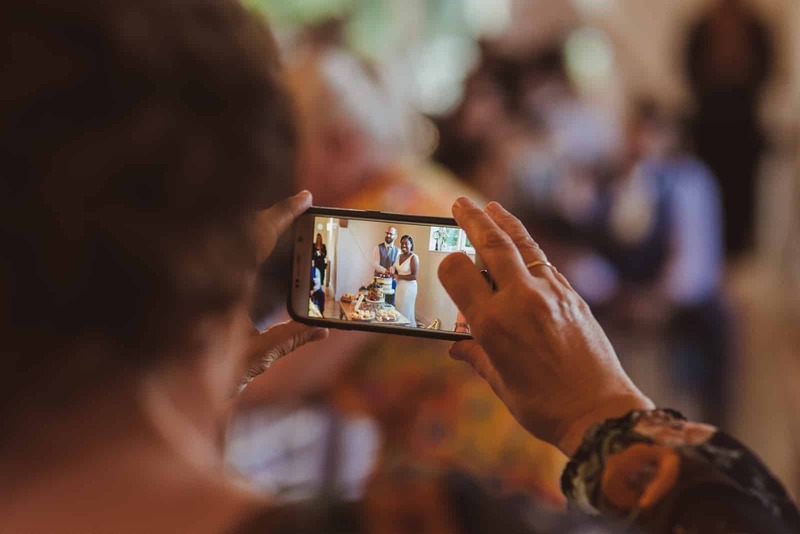 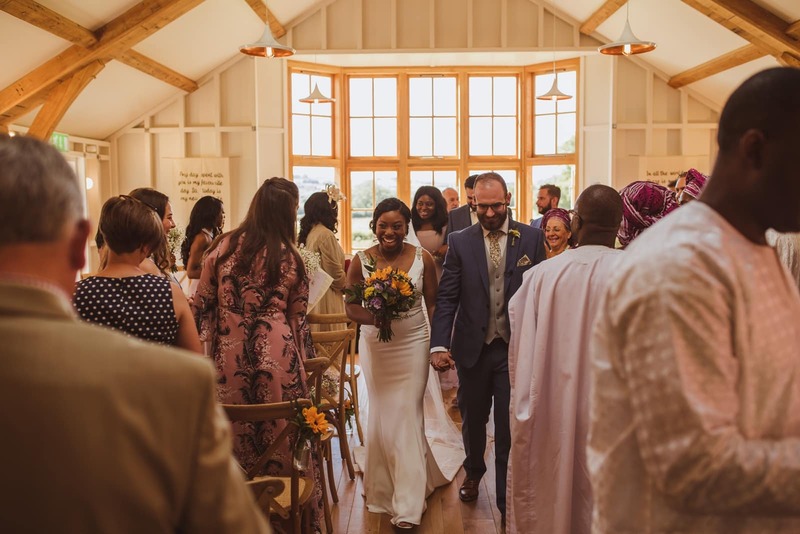 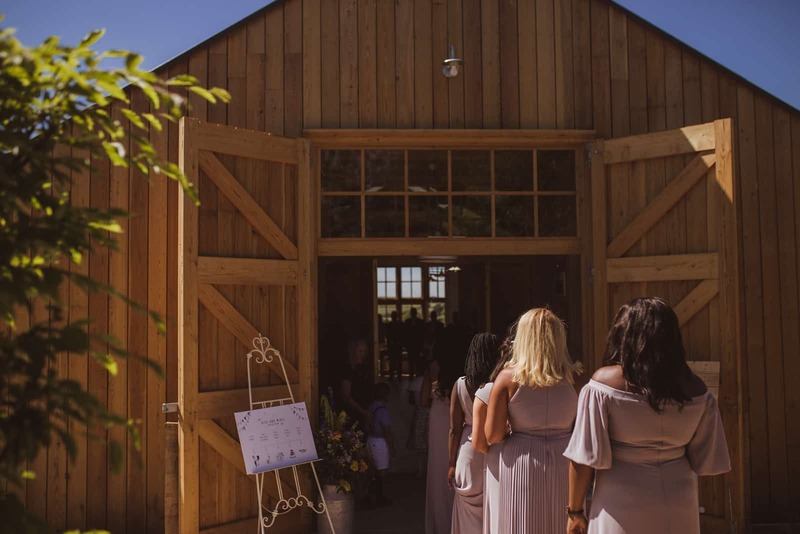 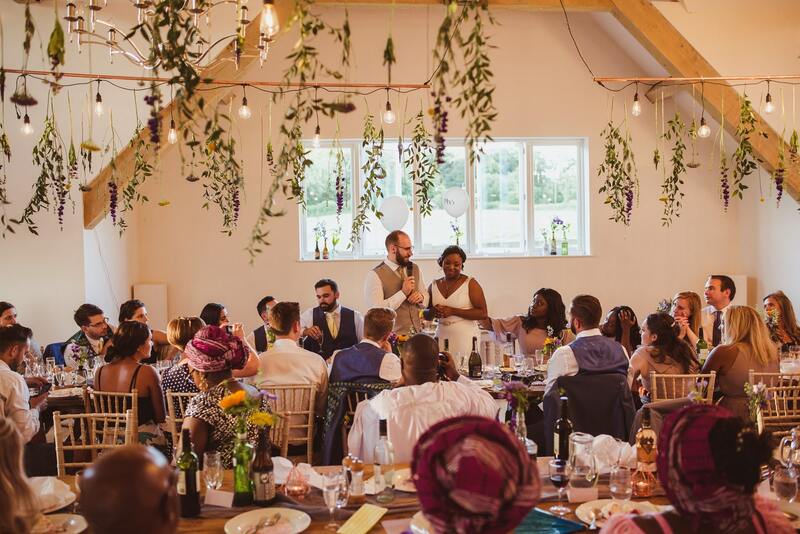 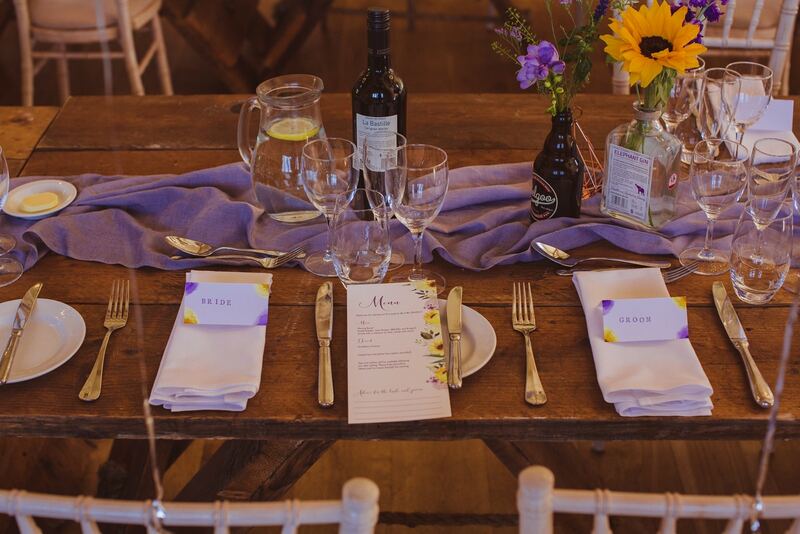 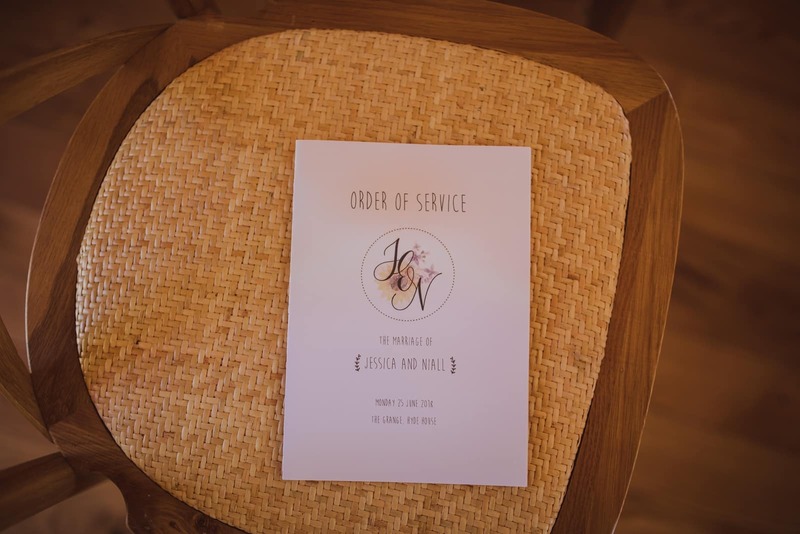 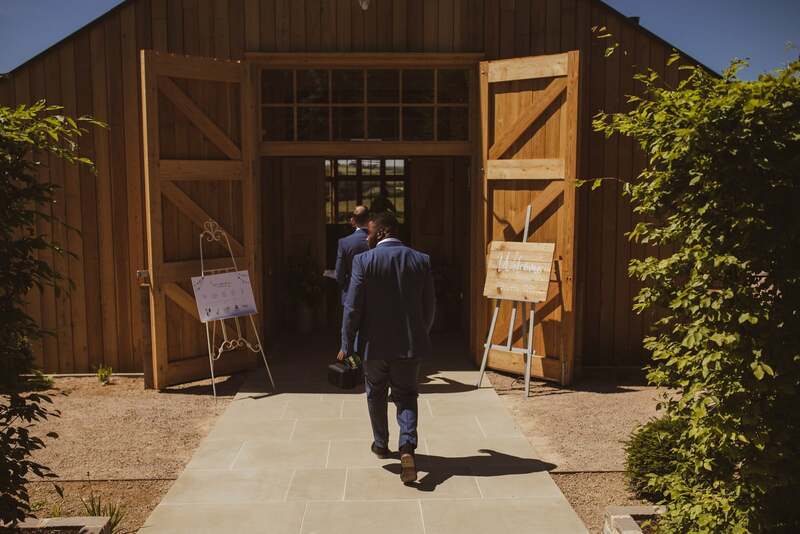 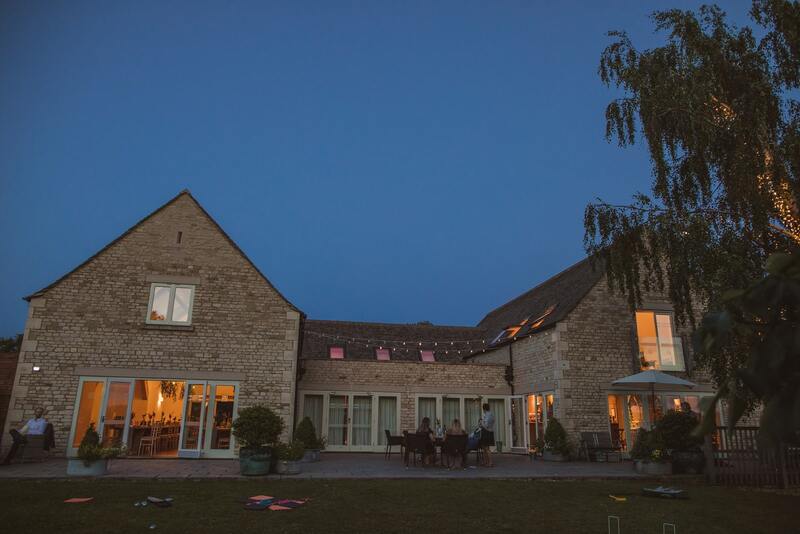 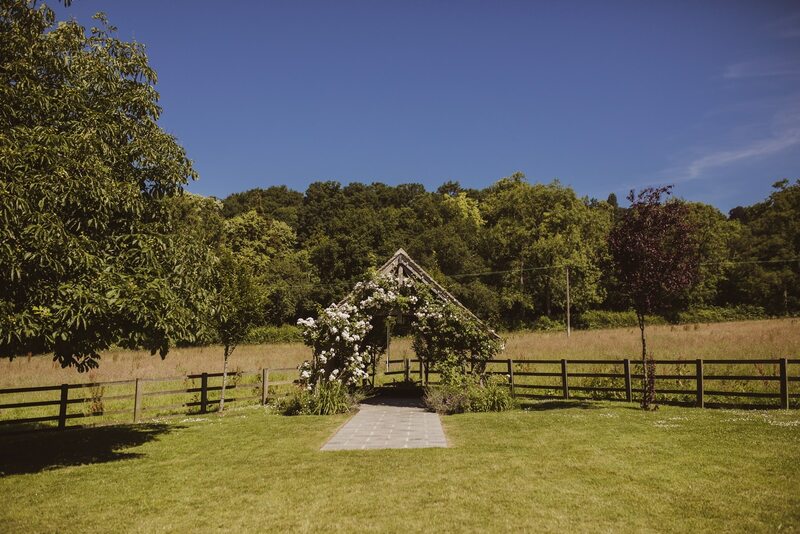 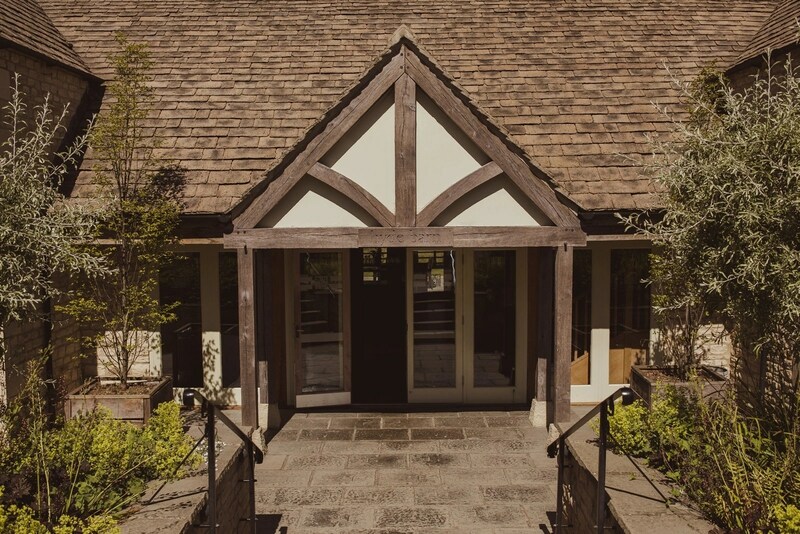 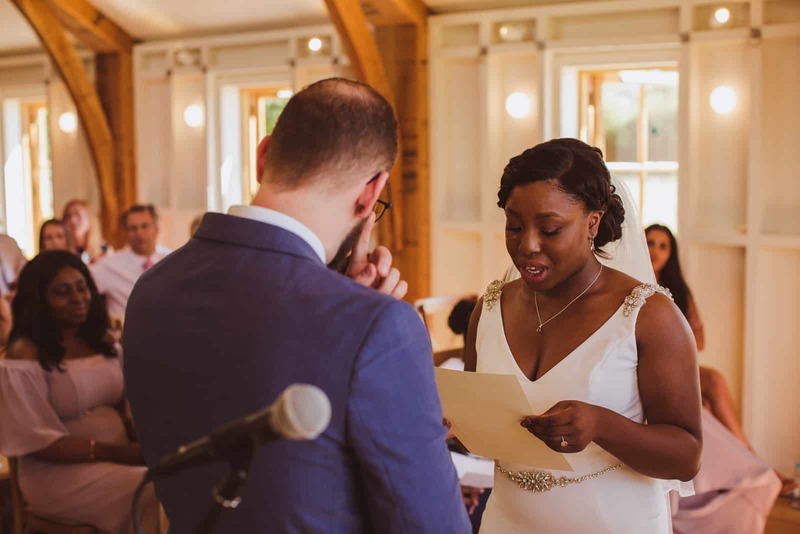 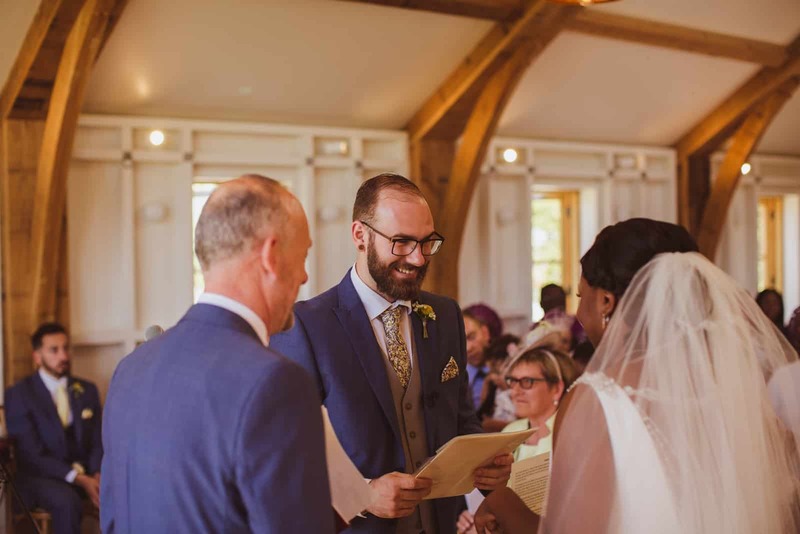 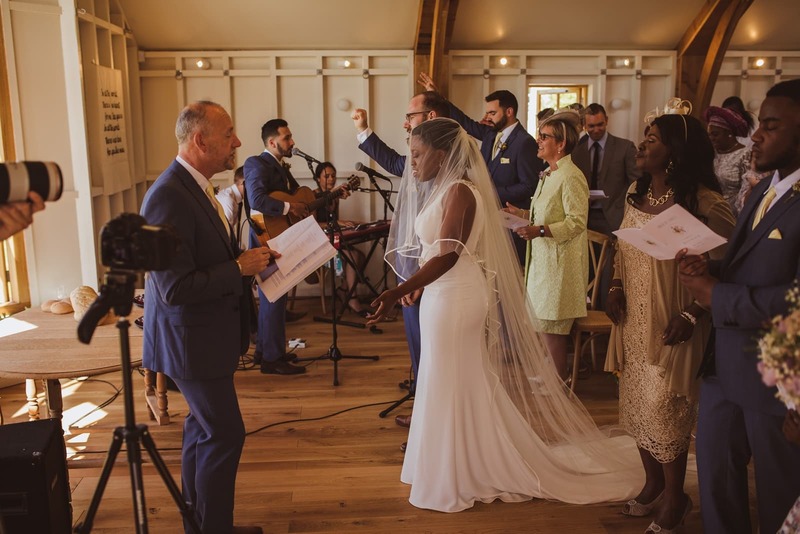 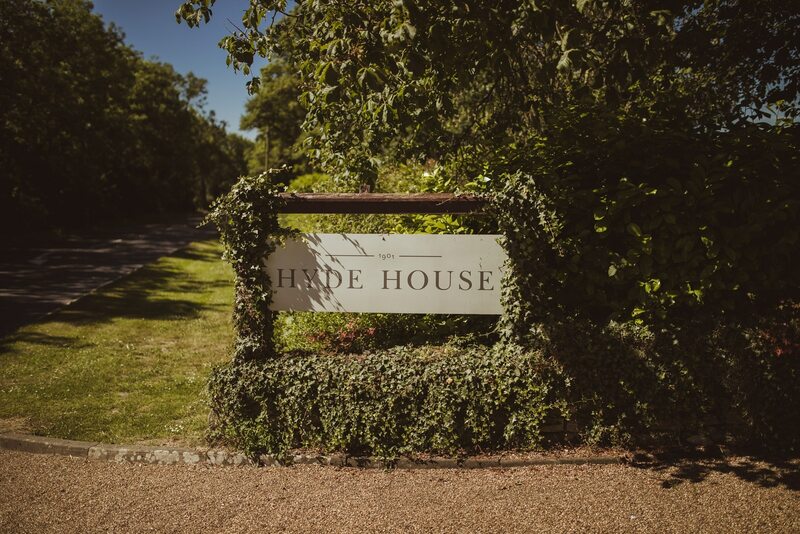 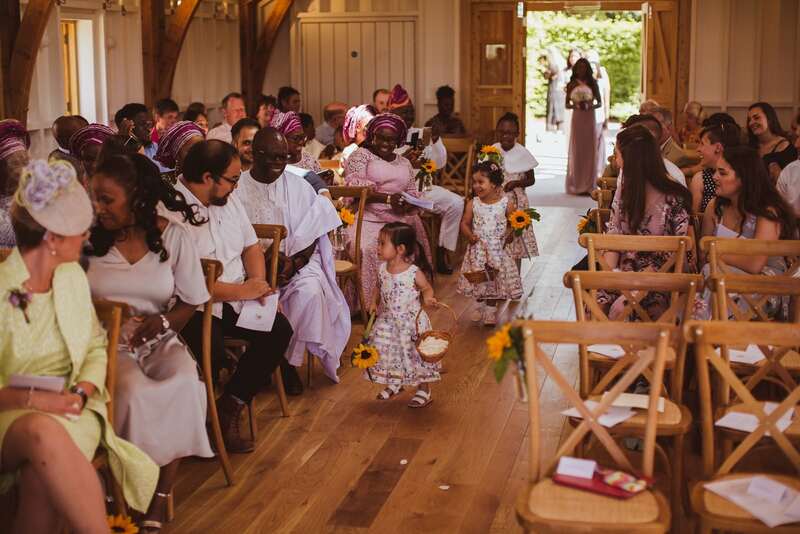 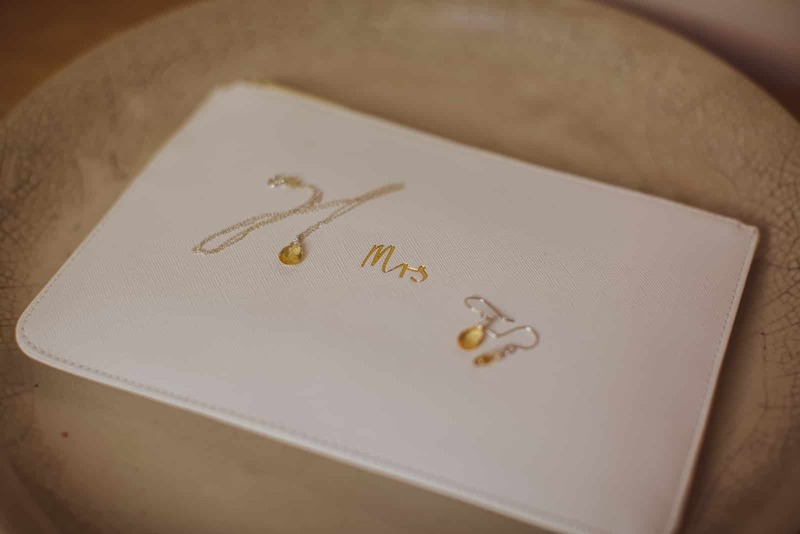 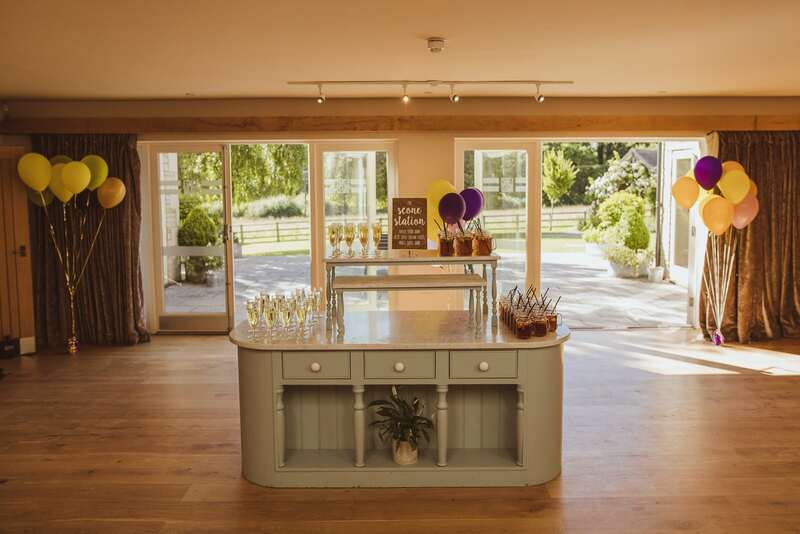 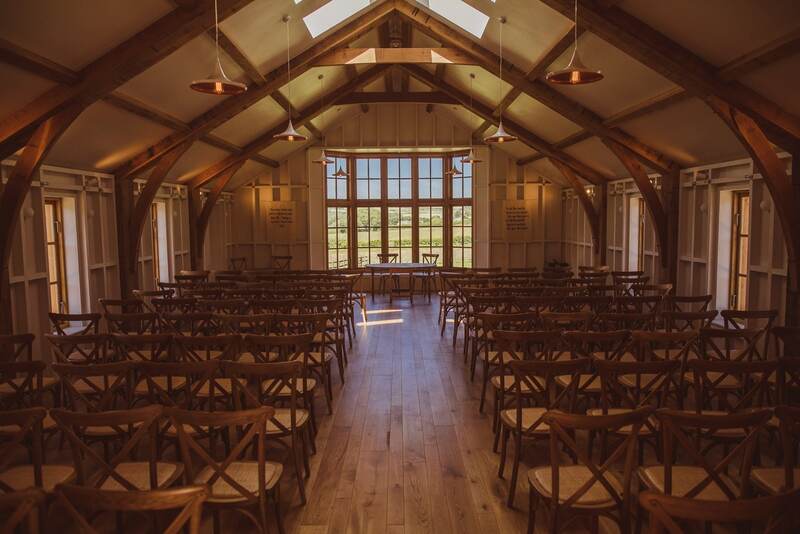 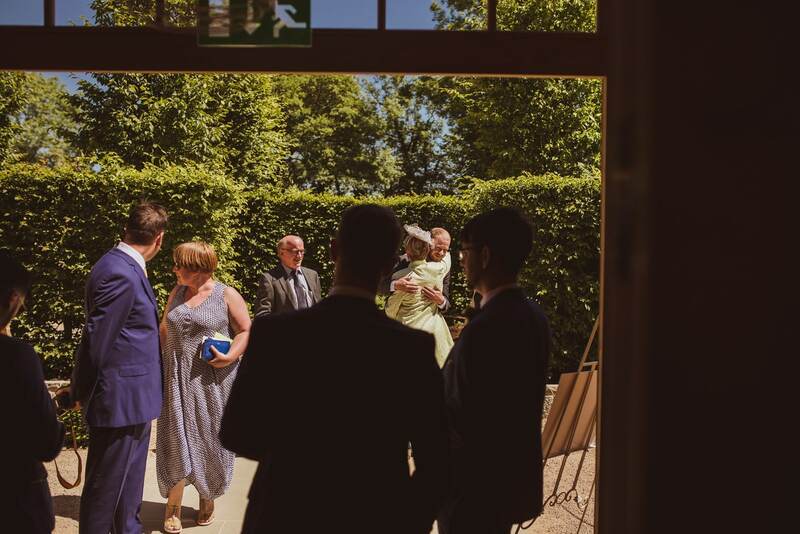 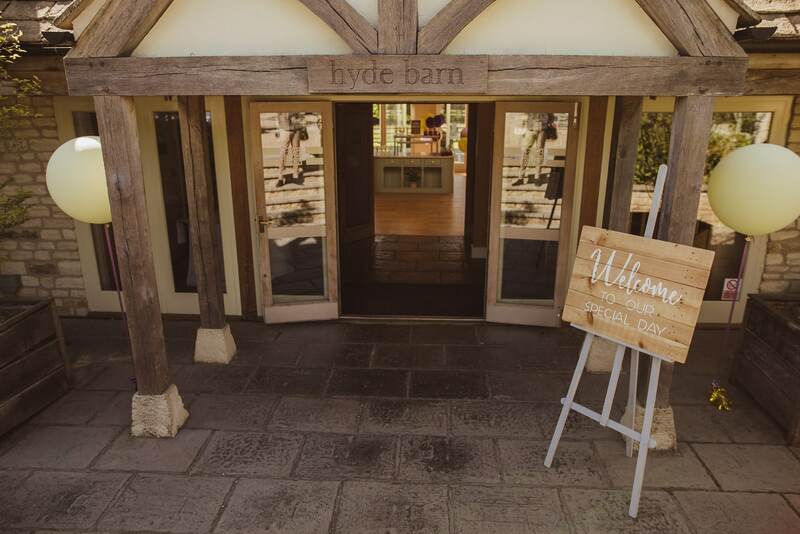 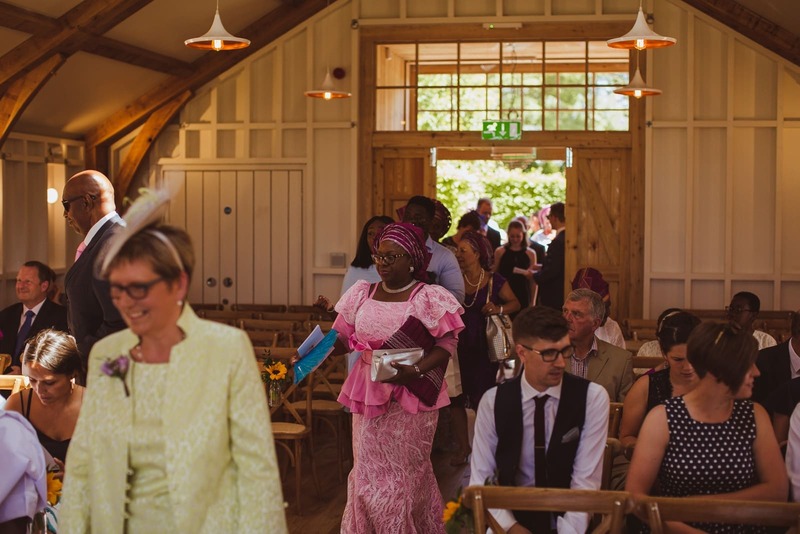 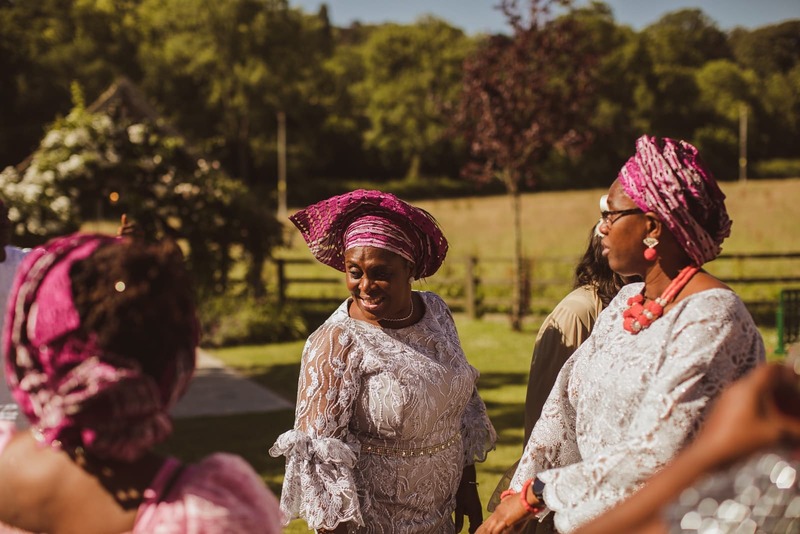 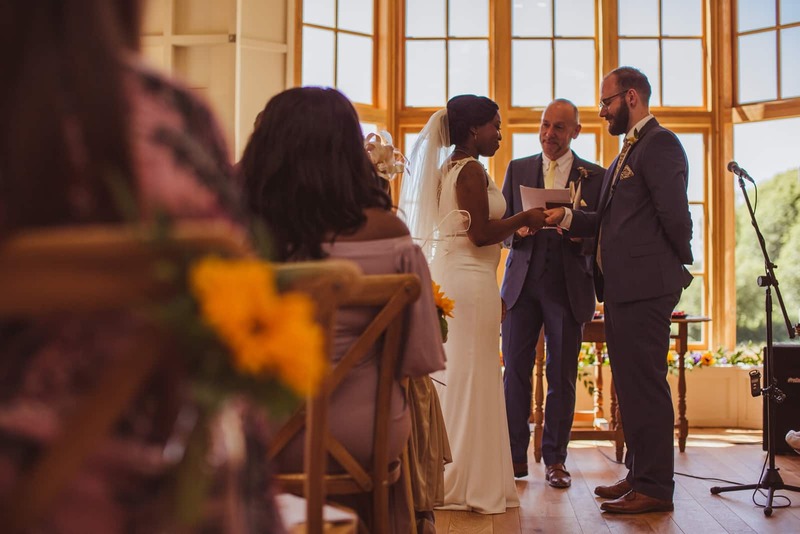 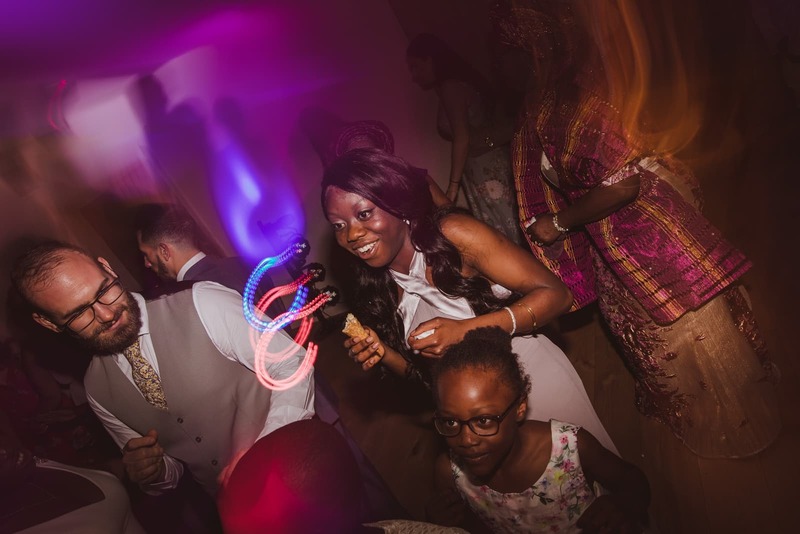 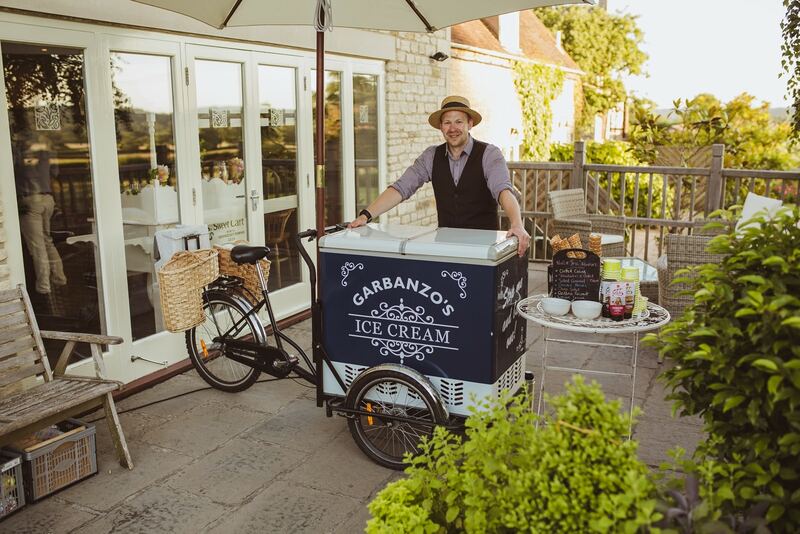 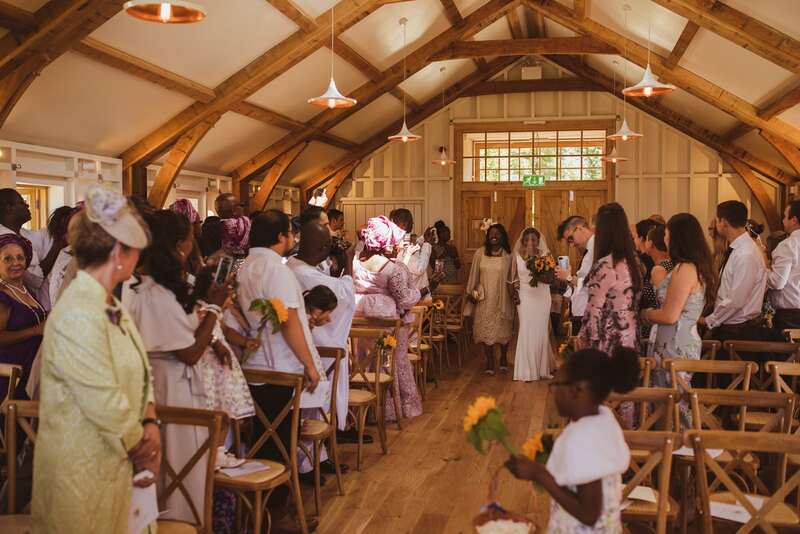 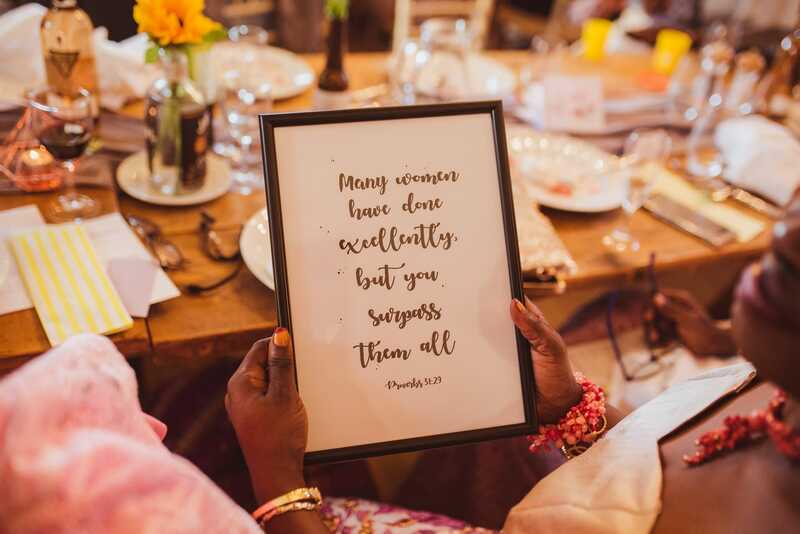 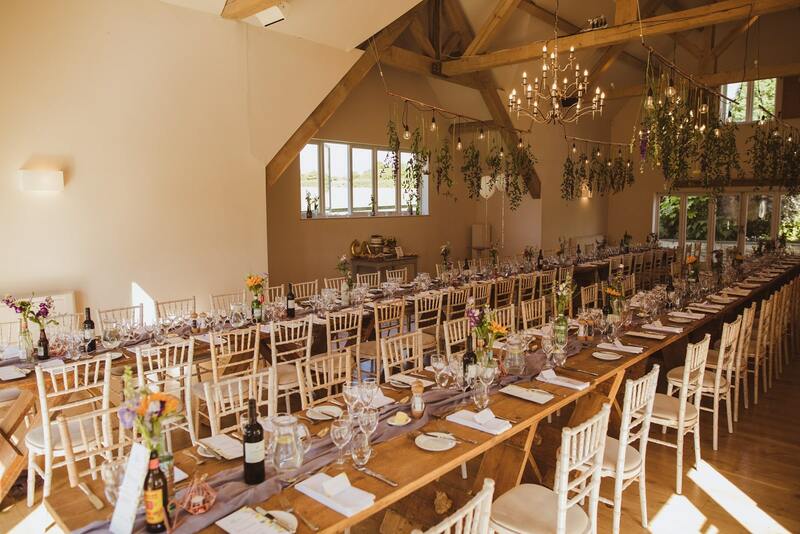 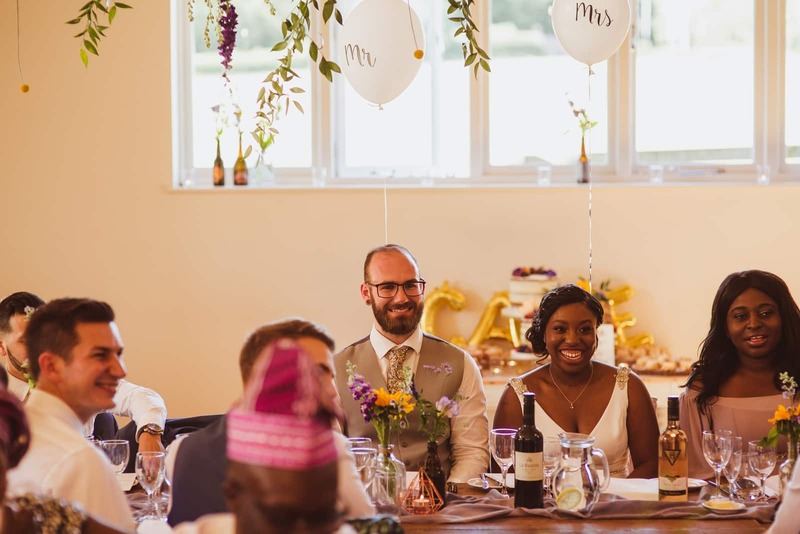 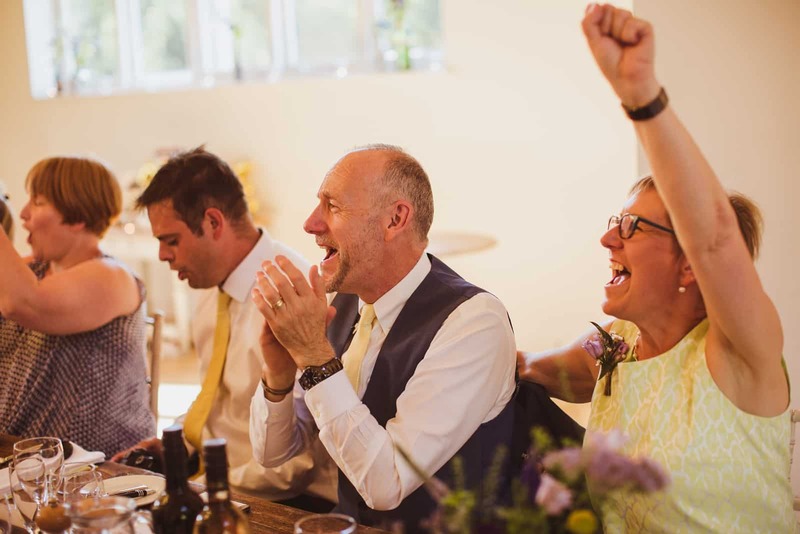 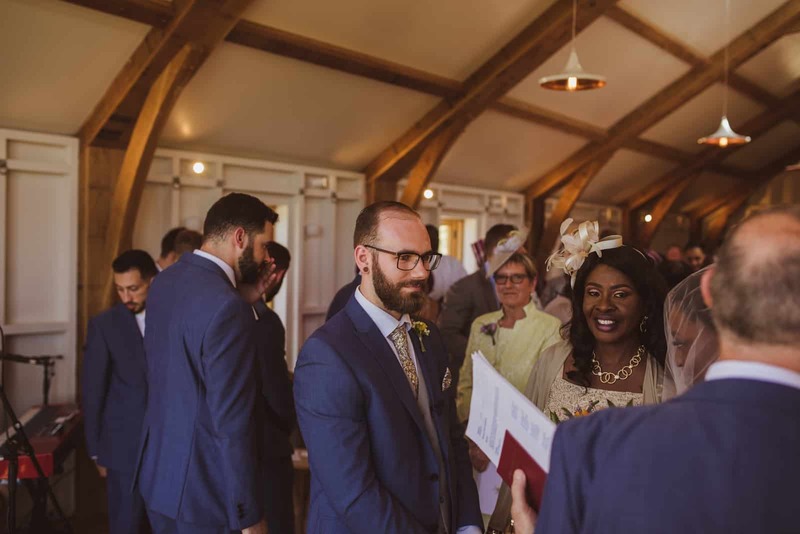 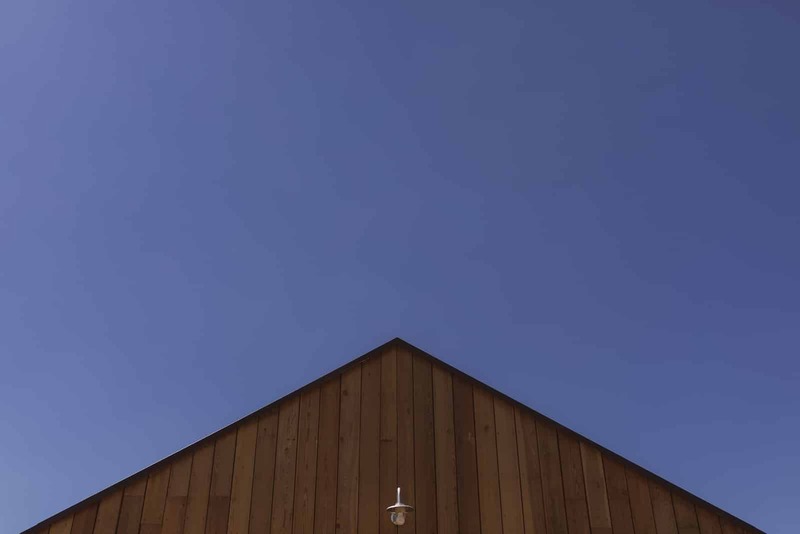 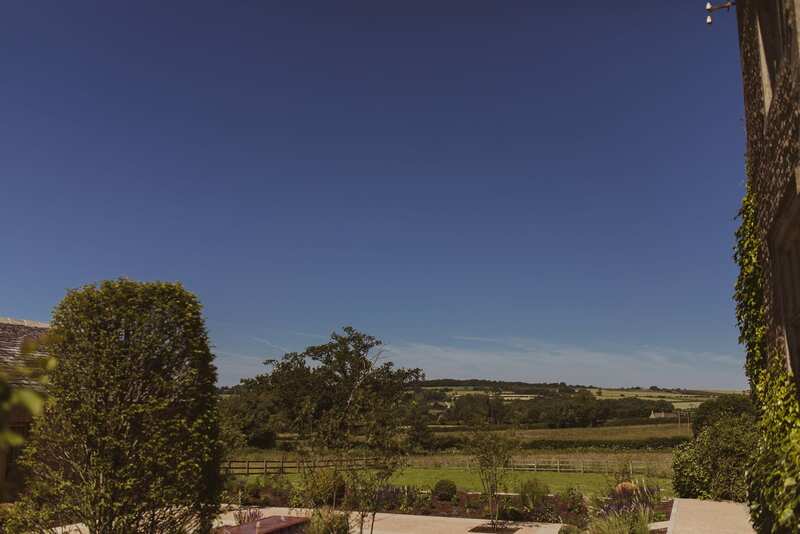 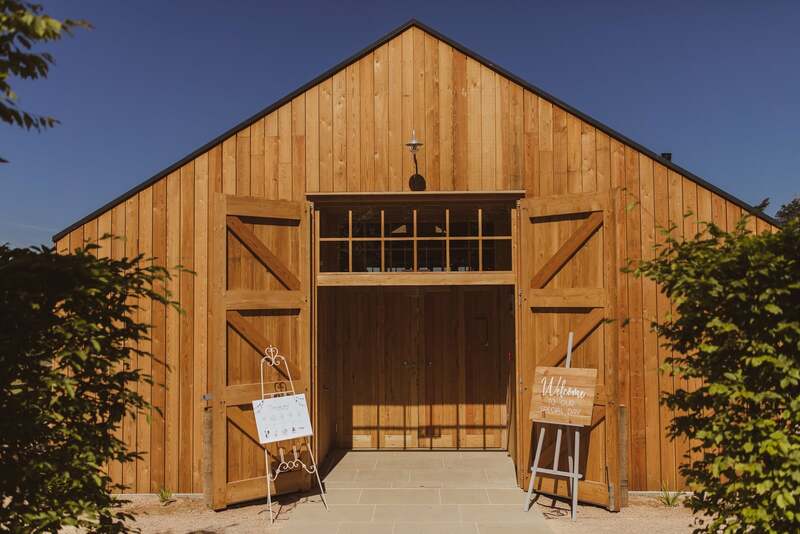 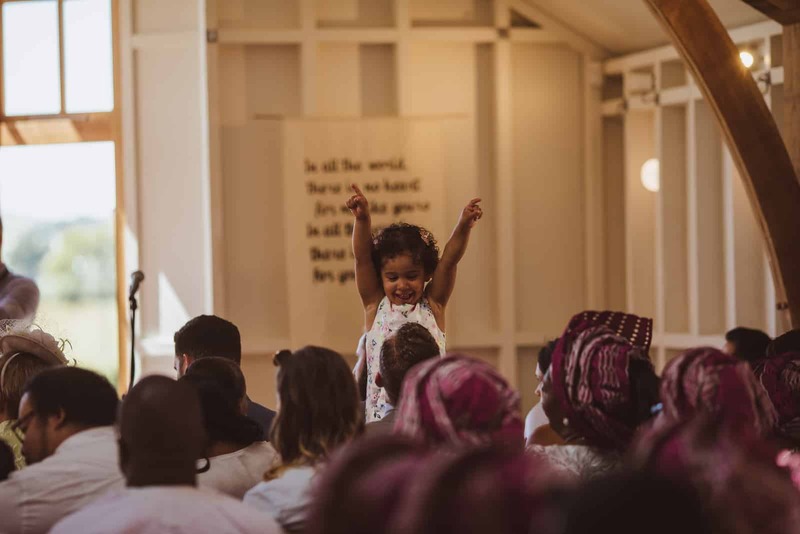 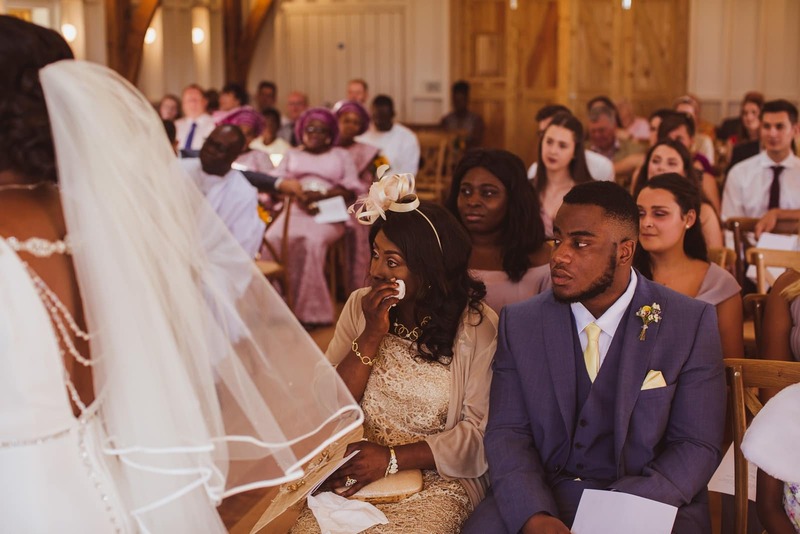 A sister venue of Millbridge Court, Hyde House Barn offers a very similar feel to Millbridge, but surrounded by rolling hills and the gorgeous Cotswolds countryside.